Springtime in Denmark is wonderful – not only because the sun comes out, days get longer, it gets warmer, trees are budding, reptiles emerge from hibernation, amphibians are breeding, etc. but also because there's a bunch of national holidays all crammed together within the space of about a month and a half. Paradoxically, putting these to their best use sometimes means heading away from the wonder that is Danish spring. One of these holidays is the wonderfully named Great Prayer Day. Back in the days when religion had a greater place in the daily lives of the Danish populace there were a number of minor holidays sprawled across the year. The powers that be obviously weren't too happy about this since for each of these there was one day less for the peasants to work and contribute to their wealth so of course the king and the bishops got together and agreed to lump them into one – Great Prayer Day. After picking up my rental I was still feeling surprisingly fresh and drove north for a morning of herping north of the West Bank / Judea and Samaria / whatchamacallit with time for a quick breakfast / coffee stop en route. Though it was well after sunrise when I got there it was surprisingly cold, thanks largely to a blanket of clouds that clearly kept the reptiles from coming out. 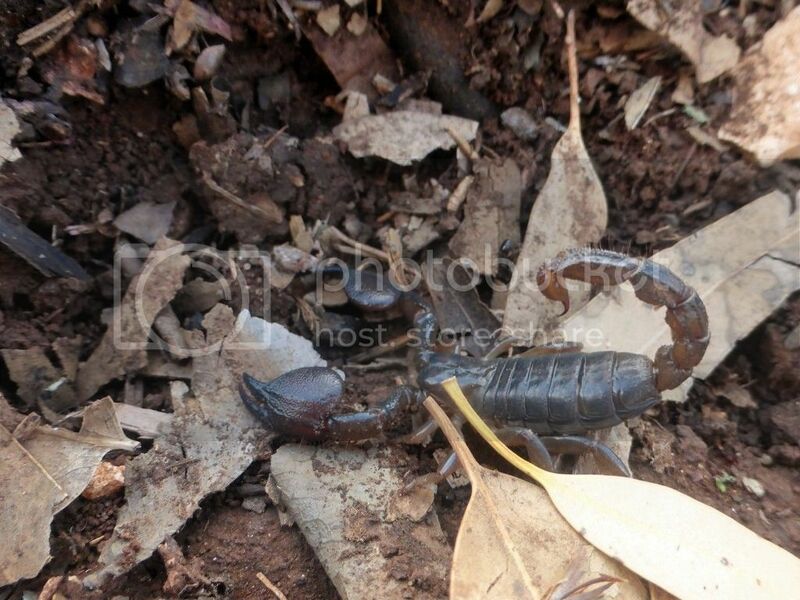 I turned a ton of rocks, uncovering nothing but scorpions – Nebo hierichonticus and Hottentotta judaicus. 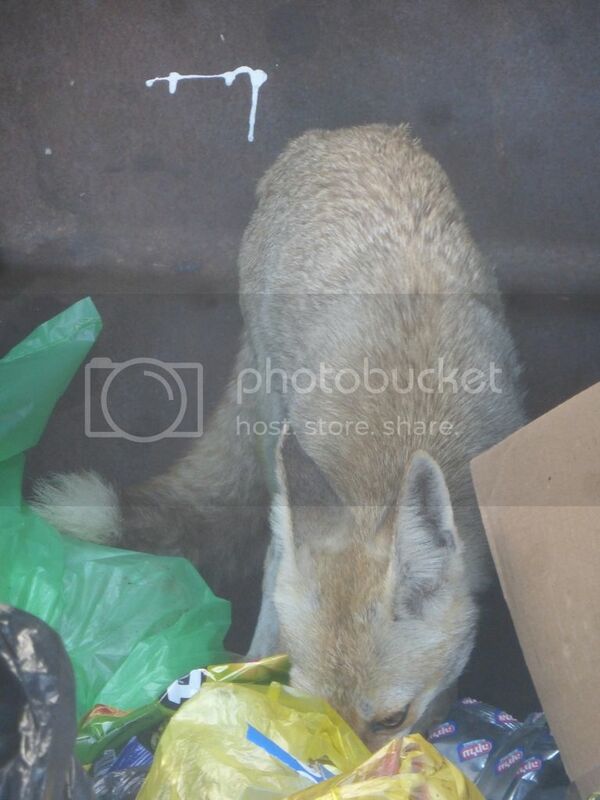 Back at the car as the clouds began to disperse I encountered a dumpster diving, and not particularly shy, fox. 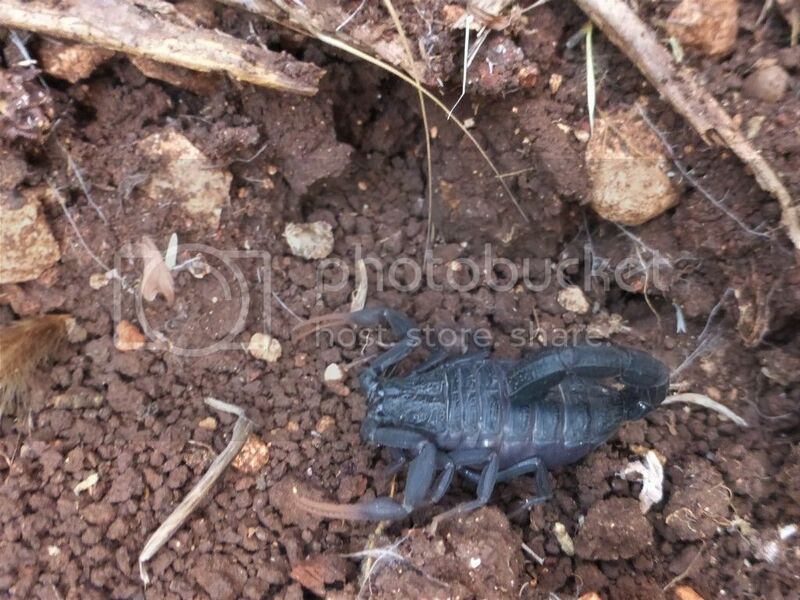 Along with large numbers of giant ant lions, Palpares sp. 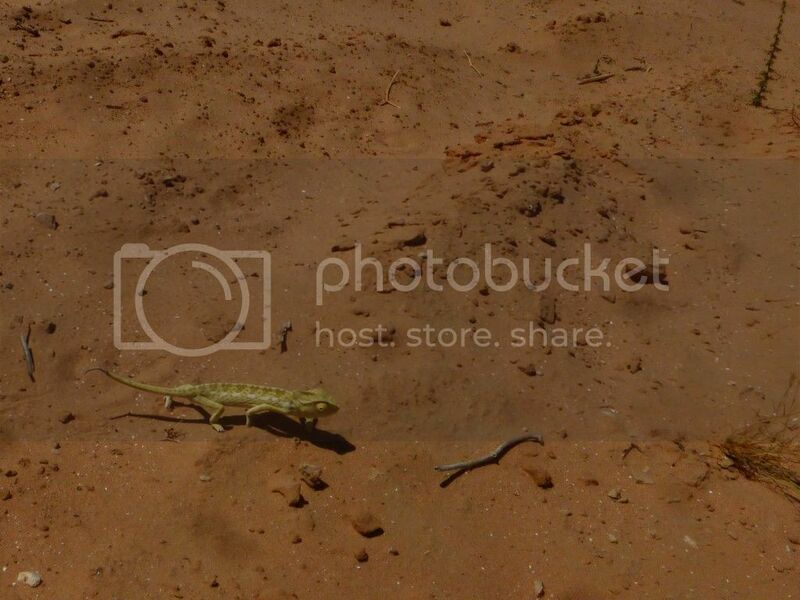 the first lizards also started to appear. 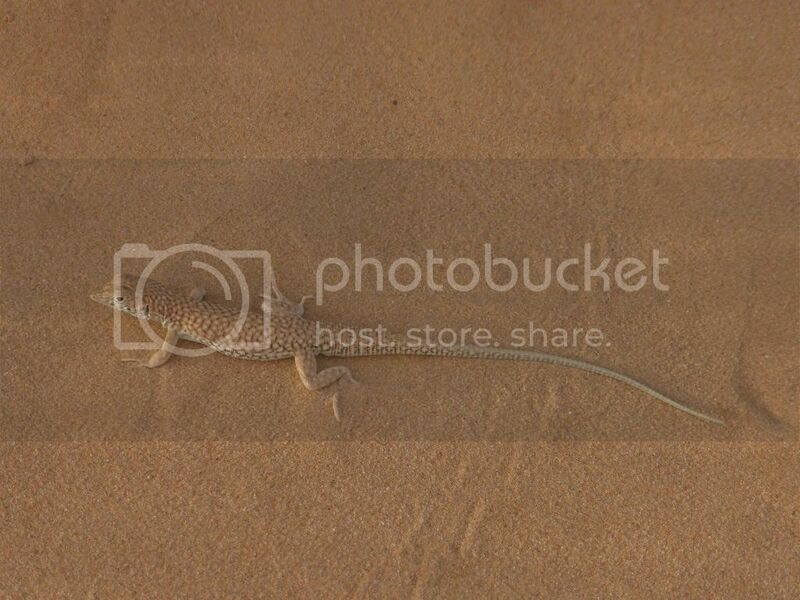 At first it was all bridled skinks, Trachylepis vittatus but soon a number of starred agamas, Laudakia stellio, and Sinai fan fingered geckoes, Ptyodactylus guttatus, showed up on the scne. 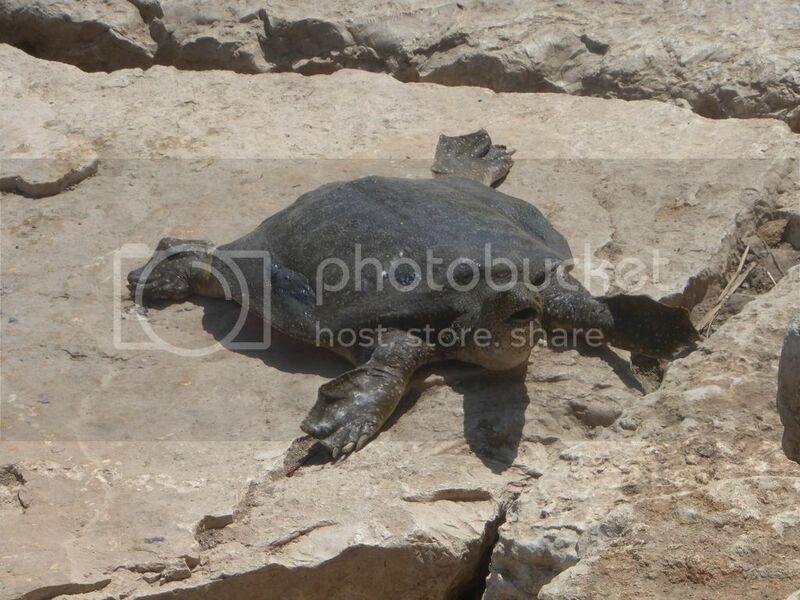 A couple of large scheltopusiks, Pseudopus apodus and the obligatory spur thighed tortoise Testudo graeca (I have seen exactly one specimen on each of my five Israel trips) also made an appearance. By now it was getting rather hot and I decided to move on to the next spot. 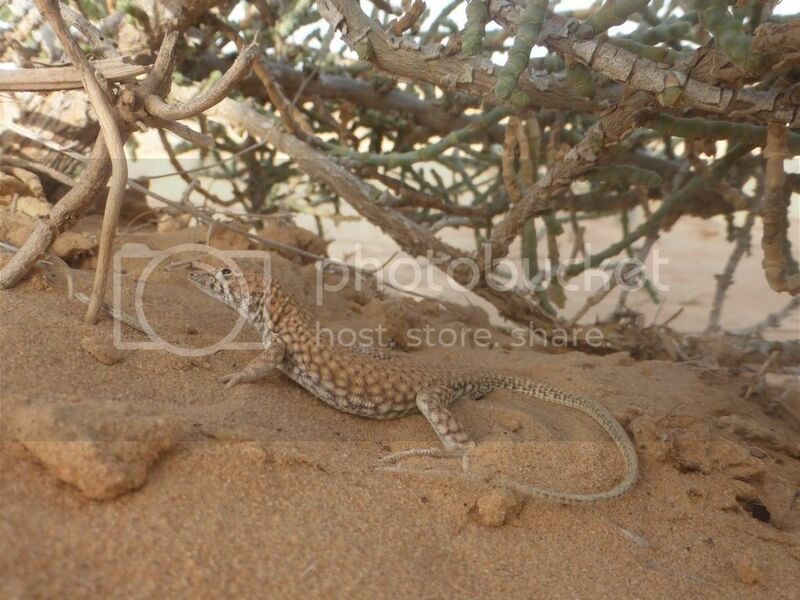 Searching among the boulders, shrubs and high grass by the roadside I found more starry agamas and Sinai fan fingered geckoes. Suddenly a medium large snake slid away through the grass a couple of meters away. 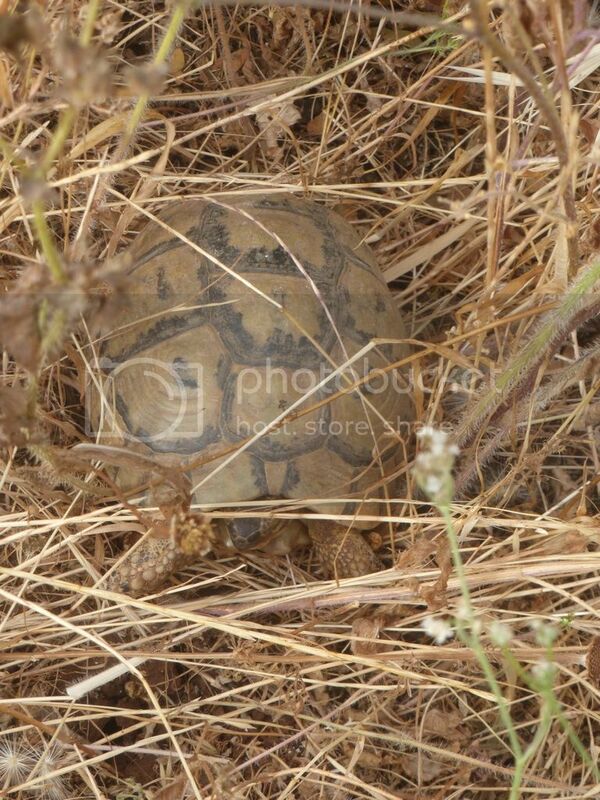 I gave chase but it disappeared between the rocks before I got a look at it. Having encountered both saw scaled vipers (by day!) 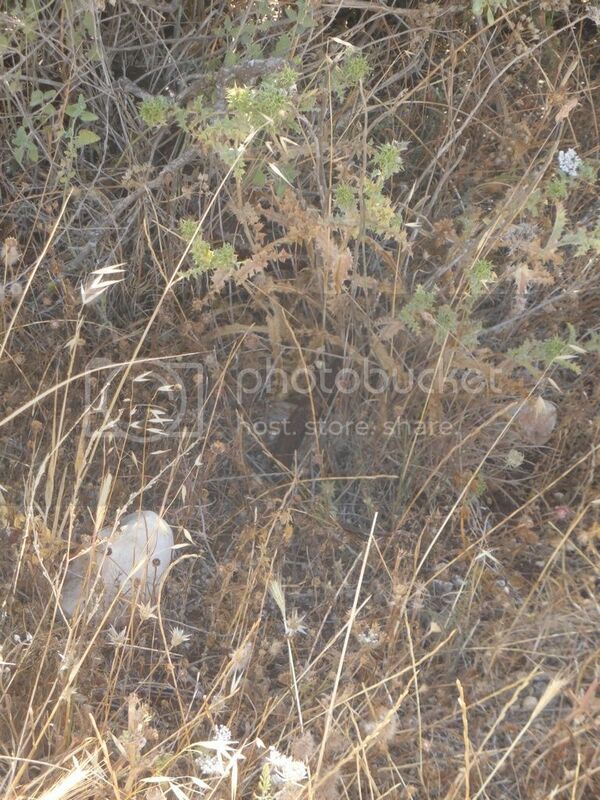 and Palestinian vipers at he spot in the past there was no chance I was grabbing that in dense vegetation without an ID first. As I was, rather predictably, getting tired and condition were becoming less than favourable I found a place for an afternoon nap and a refreshing shower before I headed out for my evening session. After a great and typically Israeli dinner of mixed grill, hummus, pita bread and salad with various pickled vegetables I drove further north for an evening of frogging. By and large I am more of a snake guy but this time around my top target was an anuran. Like Bobby I had previously considered it an unrealistic target but spurred on by his success that I learned of a few days prior to heading off I decided to give it a shot. The next sighting wasn't until 1955 when a single adult was found in the same location. A few years later, in 1958, the draining of the original 85 square kilometer Hula marshes that began in 1955 as part of the fight against malaria and in an effort to increase the amount of arable land was completed. 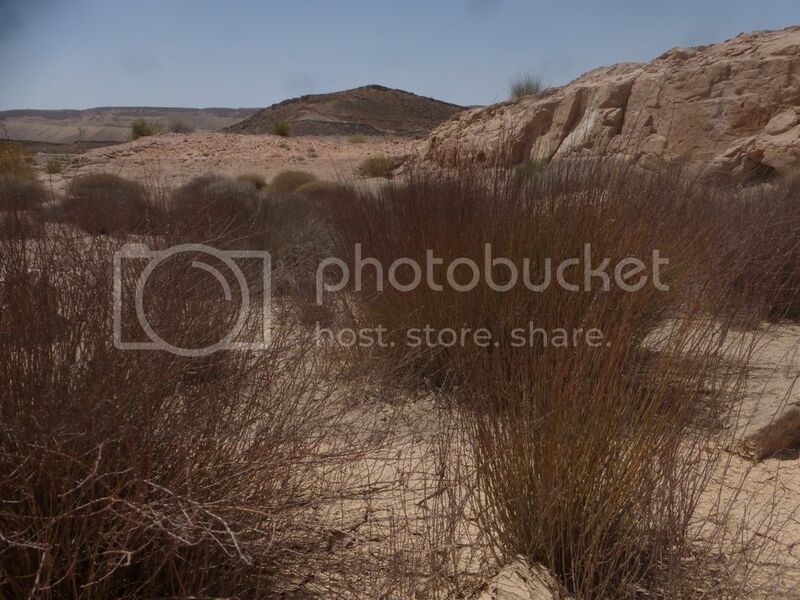 In 1964 a 3 square kilometer area of recreated papyrus swampland in the southwest of the valley was set aside as Israel's first natural reserve. This was, it sadly seemed, too little, too late for the Hula painted frog. No more individuals were found and they appeared to be gone, almost before anything was known about them. Searches in the remaining swamps in nearby southern Lebanon proved in vain. In 1996 they were the first amphibian to be declared extinct by the IUCN. Also in the 1990's the Hula valley was flooded, and a lake and surrounding wetlands just north of the reserve were recreated. If not in time for the frogs or the endemic fish that had also disappeared this was at least great news for the birds and Lake Hula has since become a top international birding spot. 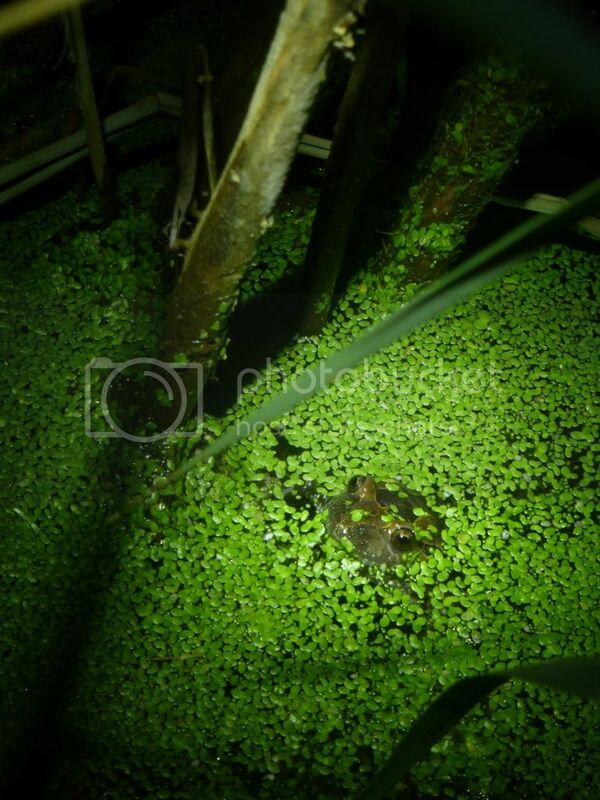 Then, in November 2011, sensationally, a sixth specimen of the Hula painted frog was found by a park patroller within the reserve, less than 5 km from the original finding sites. Of course this sparked a renewed interest in the species. Dedicated searches turned up more specimens at more locations in the area and today the species is known from nearly 200 documented specimens, spanning all stages of life. Every bit as interesting as the new knowledge of the species distribution is the new understanding of its evolutionary status. Based on genetic and osteological analyses of the recent finds the species was reassigned in 2013 to the genus Latonia, a genus of giant frogs with snout-vent lengths of up to 20 cm, split from Discoglossus some 32.000.000 years ago, known only from 3.000.000 – 25.000.000 year old fossils and hitherto considered extinct. Heavily built and with snout vent lengths of up to 13 cm while dwarfed by their prehistoric congeners these large frogs are still twice the size of their contemporary Discoglossus relatives, quite formidable and fascinatingly ancient feeling creatures indeed. 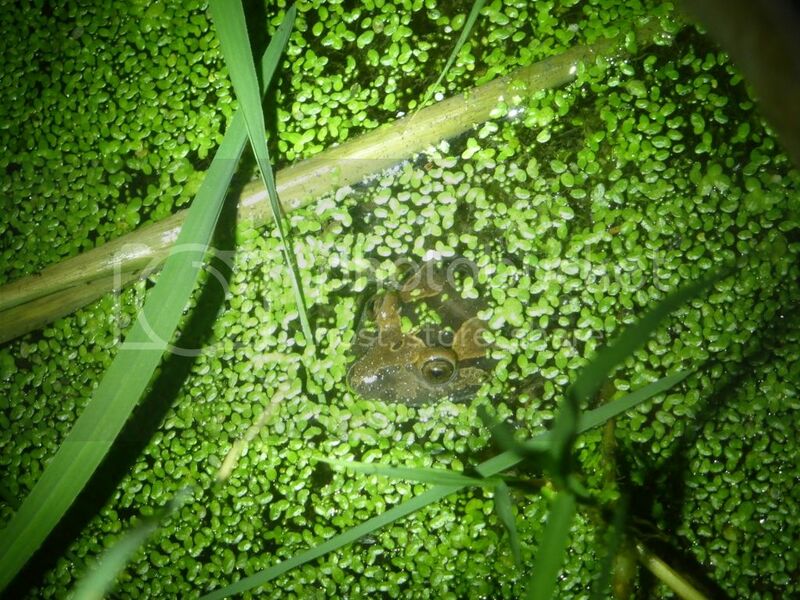 To date exceedingly little is known about the natural history of these frogs though studies are of course ongoing. 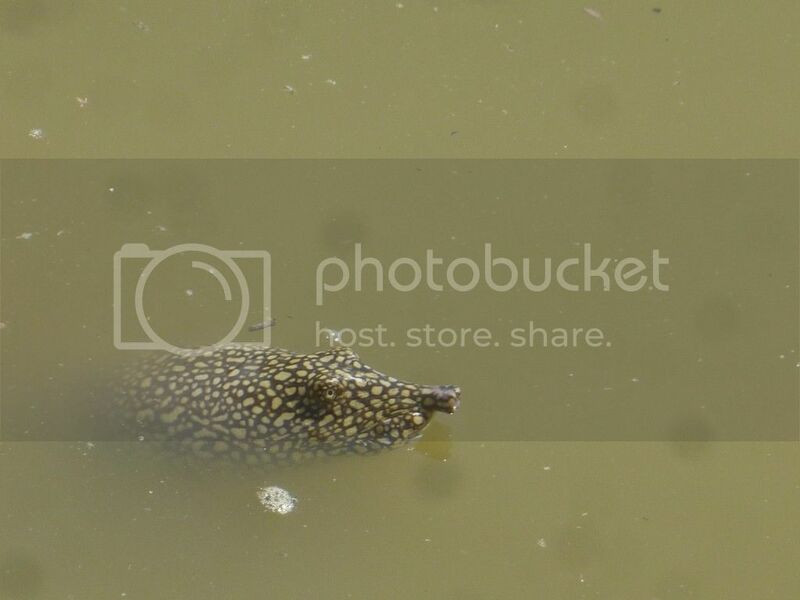 It appears that they are highly aquatic, opportunistic breeders whenever conditions are advantageous within an extended period of the year, have a long lifespan, low reproductive rate and low dispersal capability. Nearly all of this is still merely hypothesized as of yet, though. I arrived at my chosen search site shortly after dark. Tree frogs (I'm not sure whether they're Hyla savignyi or Hyla felixarabica at this location) and Levant water frogs, Pelophylax bedriagae, were calling around me and Balkan terrapins, Mauremys rivulata, swam about in the water. I was – of course - ecstatic. After shooting a bunch of pictures, frog subject seemingly not bothered in the least, I moved on and a few meters later in open water I found a second, larger specimen. On my way back a third time I added a third and – I thought at the time, but now I think it was the same as the first – fourth specimen. It was a great night indeed. Shortly thereafter, a police car came by and stopped. As it was clear to me the officers were curious about my behaviour I approached them and they asked me what I was doing. I explained it to them and showed them my pictures and they let me continue my business. The officers then started searching for something in the bushes along the water's edge and a second police car with another three officers arrived. By now tired and content I walked back to my car and started a half hearted search for the tree frogs I had heard calling but still hadn't seen. 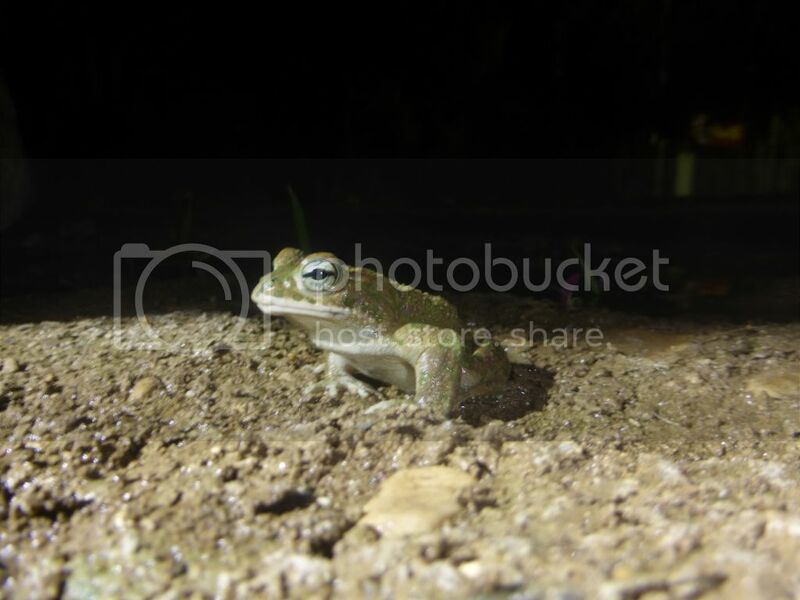 Besides more turtles and water frogs I found a green toad, Bufotes variabilis in a small puddle, light brown, bland and nearly unmarked like I have often encountered them in Israel (and never in Europe) but no tree frogs. Normally I would just keep going until I spotted them but on this night I simply couldn't be bothered, they just didn't matter. I got into the car and drove back to my accom for the night – a cozy little place on Mount Canaan on the outskirts of Zefad. 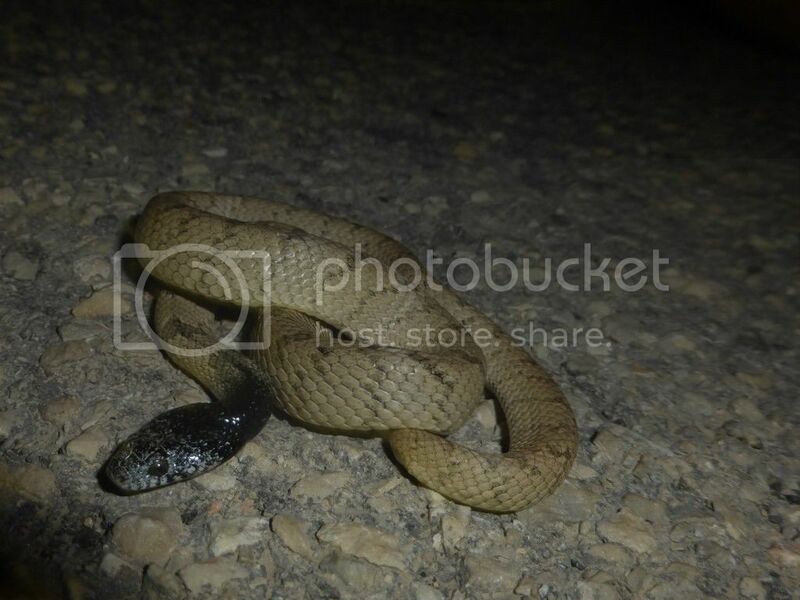 Along the way I passed a cat sniffing at something conspicuously snakelike on the road, a DOR eastern Montpellier snake, Malpolon insignitus, as it turned out. Back at the inn I had a nice cool beer in the garden, enjoying the calm of the late evening, before I crashed into bed and slept like a baby. I had agreed to meet with Julius and Alexa Zidorn the next day. We only worked out the details at the last minute and meeting at noon just north of the Gaza Strip meant I had plenty of time for some morning herping somewhere along the way. 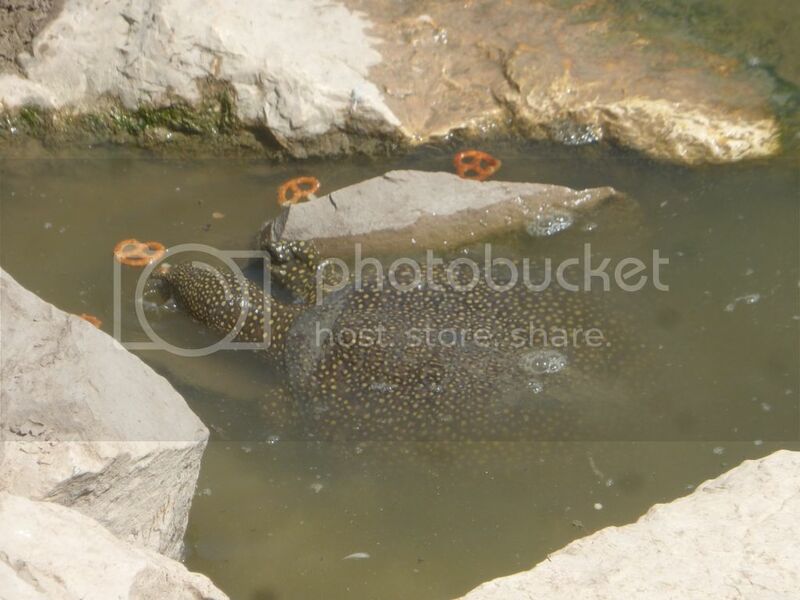 I had talked a little with the host at the inn so she knew of my interests and told me of a pond with caudates nearby. I knew I probably wouldn't find any adults at this time of year but went searching for it anyway. I never found it, only assorted bugs and nice views across the valley with the snow capped Mount Hermon in the distance. I considered looking for other good nice habitats nearby but in the end decided on a stop en route south at the Alexander river for the softshells and whatever else might show up. 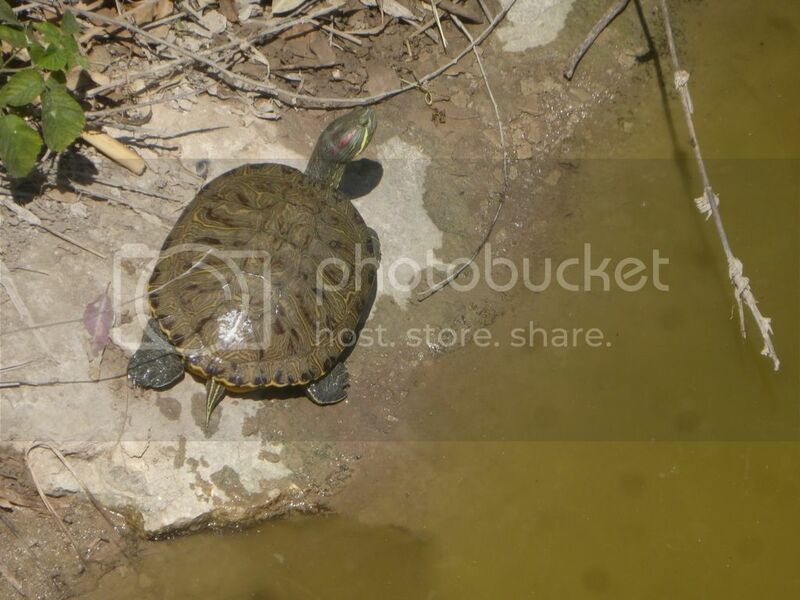 Whatever else might show up proved to be not very much this time, along with the African softshell turtles, Trionyx triunguis, only Balkan terrapins, starred agamas and introduced redear sliders, Trachemys scripta made an appearance. The site has changed quite a bit over the years. When I first visited it in 2011 there was a boardwalk, a sign saying "Don't feed the turtles" (which was disregarded), and not much else. Besides me, there were only a few people. When I came back in 2012 a large parking lot had been established, grass planted, and a huge picnic area created. This time around, the picnic area had become even more crowded, the heaps of trash lining the edge of lawn along the orchard both disgusting and sad. We didn't see any of the released pets on previous visits either. People were still feeding the turtles - some perhaps just by accident. Most of the softshell turtles seen are huge full grown adults but the few young ones are particularly stunning with their bright yellow spots. However, something just seems wrong when you spot them feeding like this. Even though this was, already at the onset, far from pristine habitat it still demonstrates how striking a balance making the beauty of nature easily accesible to the general populace and opening their eyes to the wonders of their native wildlife without sacrificing too much is quite a challenge. After this short and, quite frankly, slightly depressing, stop I headed onwards to the border. 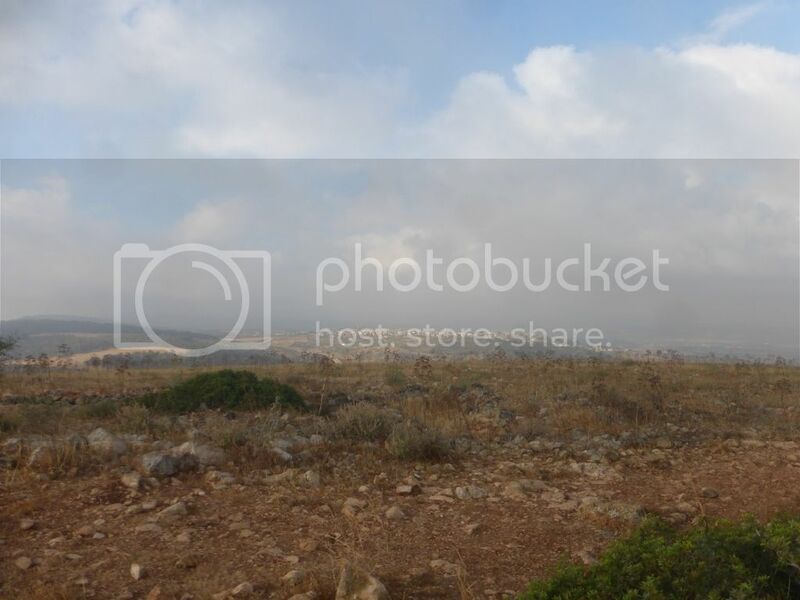 Aviad had told me of a few communication holes to check along the road and while I waited I found the first one. 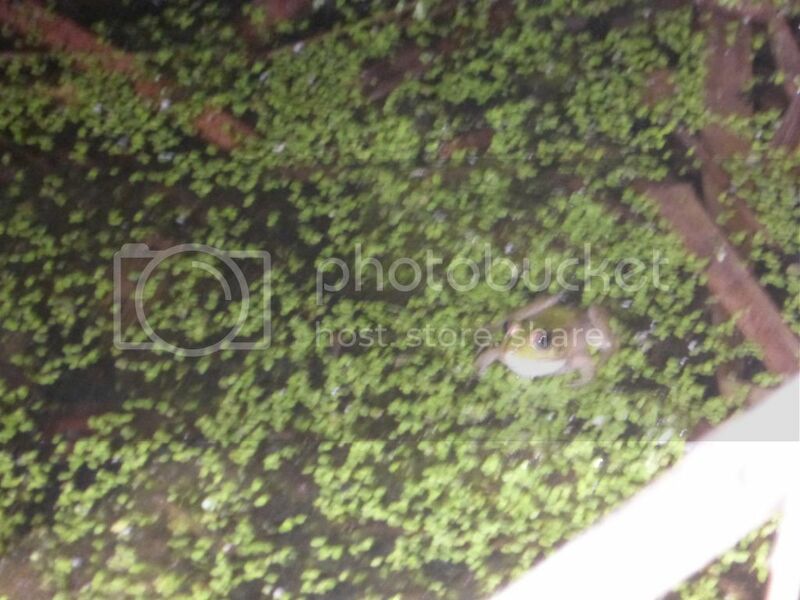 It was full of water and there was a dead Acanthodactylus at the bottom. We drove back north and found a number of these holes but all but two were closed. 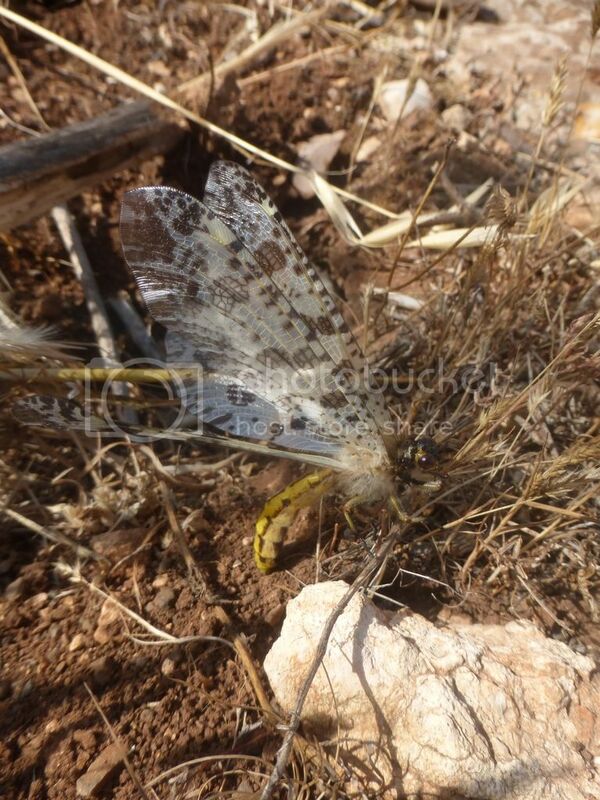 Inside one of these we found a dead female Berber skink, Eumeces schneiderii. Near the other we found a huge slough of - almost certainly - a balck whip snake, Dolichophis jugularis. Under a tarp in a field we found a green toad (the first flipped herp of the trip! ), much prettier than the one from the night before but I have plenty of green toad photos and didn't bother. We had hoped for more but that was it and we drove onwards to another row of holes further inland. Peering into the first Juilus saw a snake and called me over. 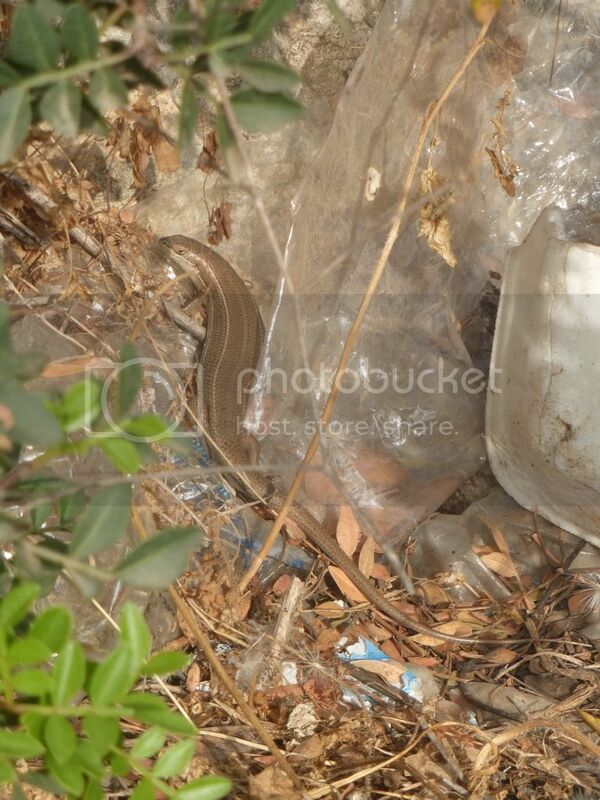 An eastern Montpellier snake lay curled up in the corner, partially covered by trash. 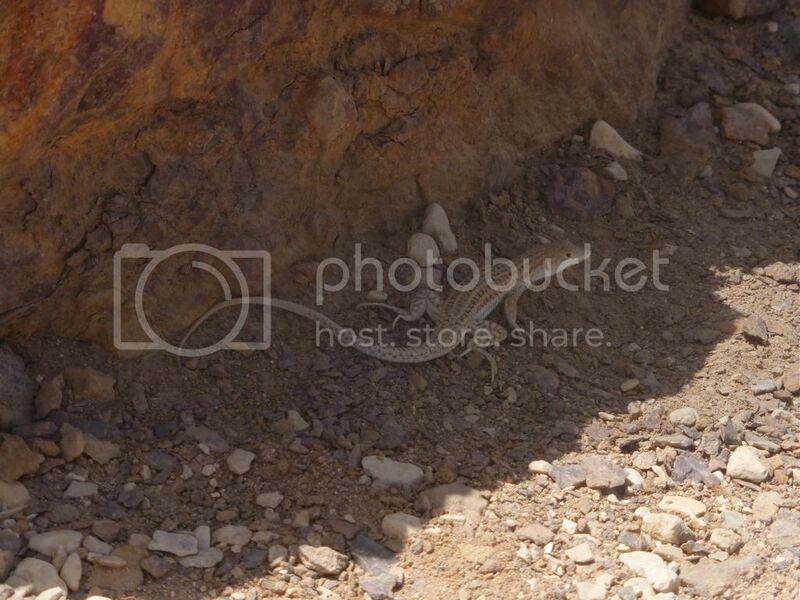 I went in completely unaware that the snake had an escape route and saw it slip away through a narrow crack at the bottom of the hole, Mediterranean geckoes, Hemidactylus turcicus climbing about on the walls all the while. 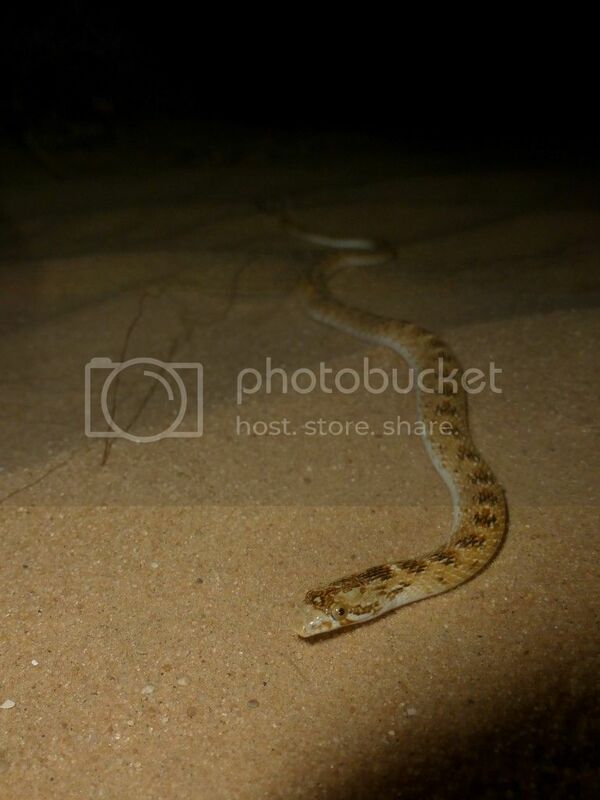 At least I did get to rescue a small bridled mabuya. The remaining holes revealed nothing but dead rodents, assorted bugs, a second - desiccated - Montpellier snake, and a few more geckoes. We then made a quick - and succesful - search above ground for Schreiber's fringe-fingered lizard, Acanthodactylus schreiberi, saw a couple of starry agamas as well. I had thought of searching the nearby riverbed but it was hot by now, and bone crackingly dry, so instead we just doubled back past the first hole to see if the Malpolon had come out again. As I peered in I could see it on it's way out of the crack. Immediately afterwards it spotted me as well and crept back in. 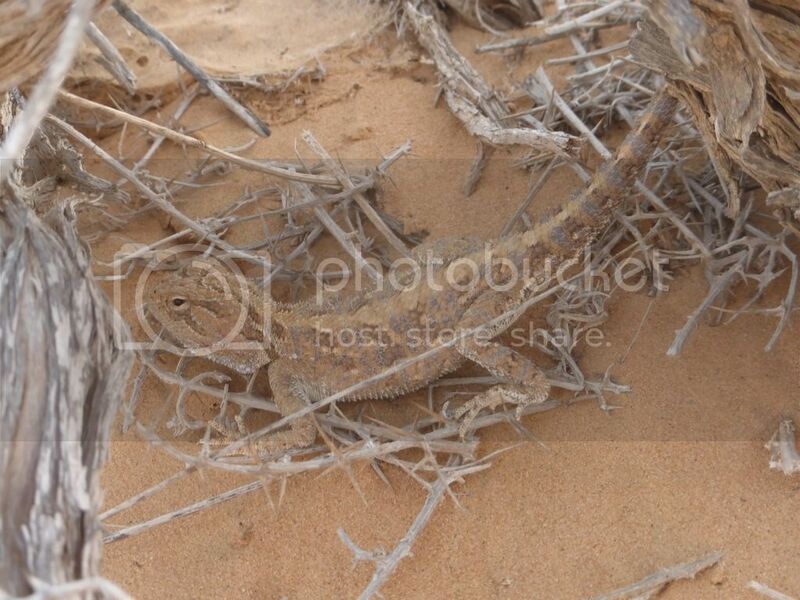 Driving onwards through the Negev at 95 km/h I suddenly had to swerve to avoid hitting a subadult Mediterranean chameleon. When I subsequently stopped, Alexa and Julis who hadn't seen it were happy to hear the reason behind my erratic driving. 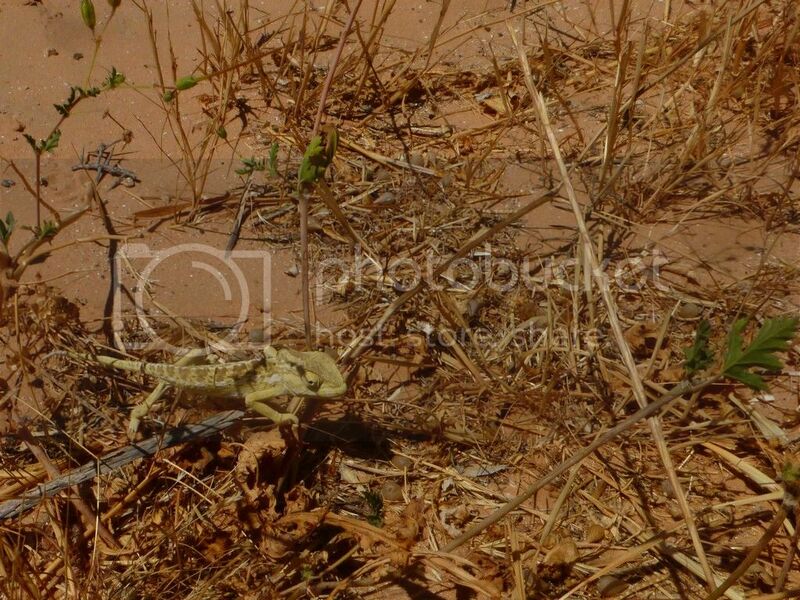 We turned back and found the chameleon still in the process of crossing the road in its own, quite leisurely, pace. The previously night I had foolishly not ordered breakfast (Israeli breakfast is great and more or less designed to keep you going the whole day) because I didn't want to spend prime herping time waiting for it. In the end I got out the door two minutes before it was served and had an infinitely less satisfying breakfast on the road. By now I was hungry and we made a stop at a gas station. Unfortunately none of the good ones were nearby so lunch was white bread, hummus and an ice cream. The good thing about the gas station was that I knew of another three holes next to it. 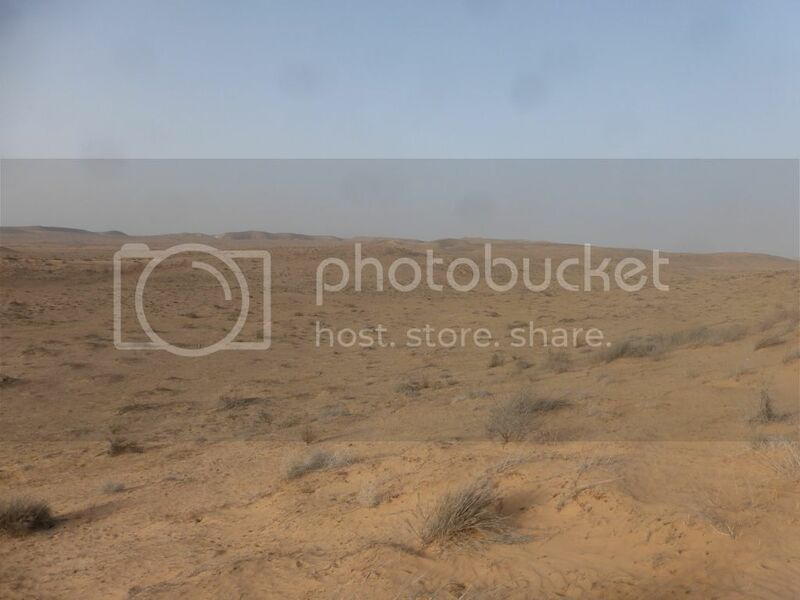 One held a dead hare, a couple of ditto birds, and a Sinai fan fingered gecko, the other two had been closed, possibly because a school had been built next to them in the meantime - in the middle of nowhere in the desert. 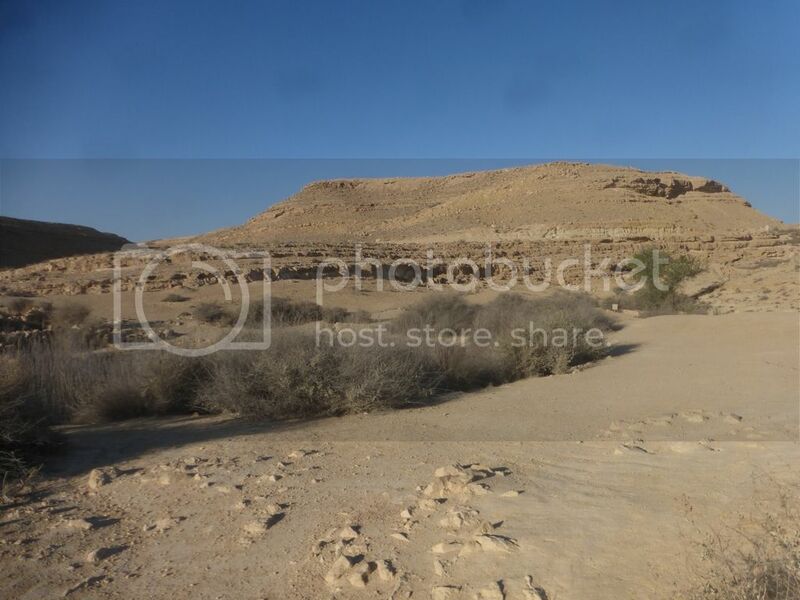 We drove onwards to Mitzpe Ramon where we checked into our rooms and dumped out stuff before heading back out again. 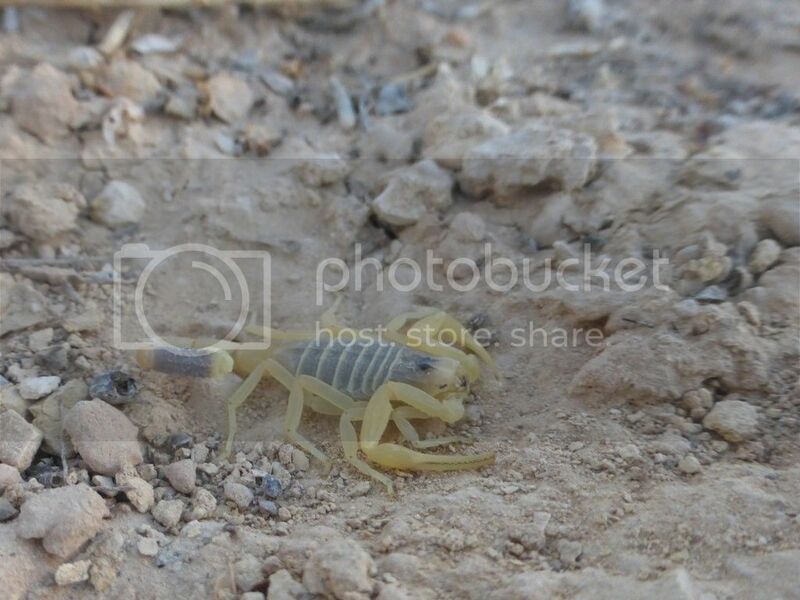 At a wadi, just as dyr as the other one, we found a couple of Rüppell's snake-eyed skinks, Ablepharus rueppellii, and a single snake eyed lacertid, Ophisops elegans out and about and flipped a Mediterranean gecko and a bunch of scorpions, solifuges and spiders. Julius also spotted an ocellated skink Chalcides ocellatus that got away before I saw it. As it got dark and what little late afternoon activity there was died out we went road cruising. Geckoes soon staring showing up, most of them quickly to get off the road again. 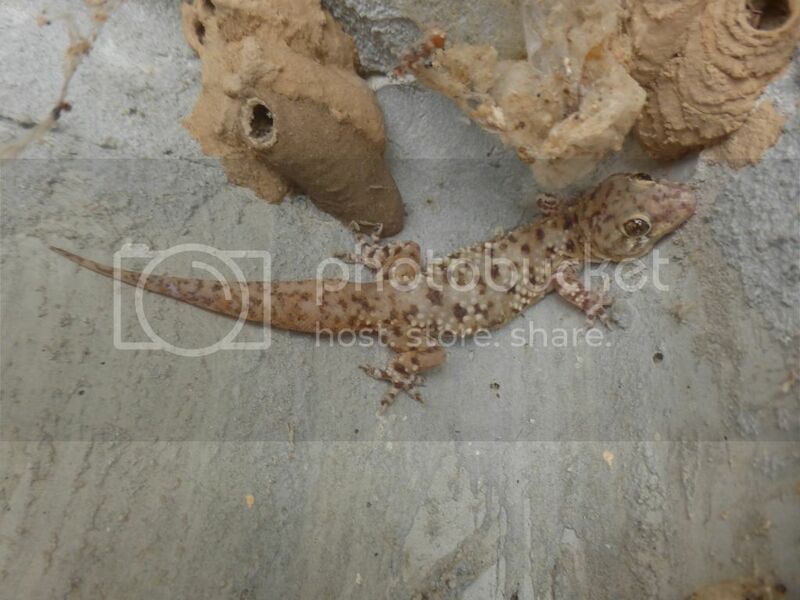 Past experience tells me that the great majority of geckoes on this road are Lichtenstein's short-fingered geckoes, Stenodactylus sthenodactylus but the one we finally did stop and get photo of revealed itself instead as another Sinai fan-fingered gecko. Along with the geckoes several solifuges, spiders and beetles, a barn owl, and a few jerboas and other rodents were out and about. Onagers, reintroduced into Israel 35 years ago after being extirpated some 90 years ago, were seen by the roadside, including one group with a cute little foal that passed by next to the car. After 20 minutes spotted the first snake, not my first (Pseudocerastes) or even second (Walterinnesia) target, but my third, a desert tiger snake, Telescopus hoogstraali, a very good find indeed. Over the years as I have grown increasingly confident I have gradually started road cruising at ever higher speeds. It seems I have reached the point where I have to slow down again. Cruising at about 65 km/h Julius and I both noticed a smallish, light colored snake near the side of the road a little late. I slammed on the brakes and we both ran back after it. It looked as if it was just lying there, not on the move so I wasn't worried about braking a little late but when we got back there it was gone. Of course we searched next to the road with our flashlights but in vain. 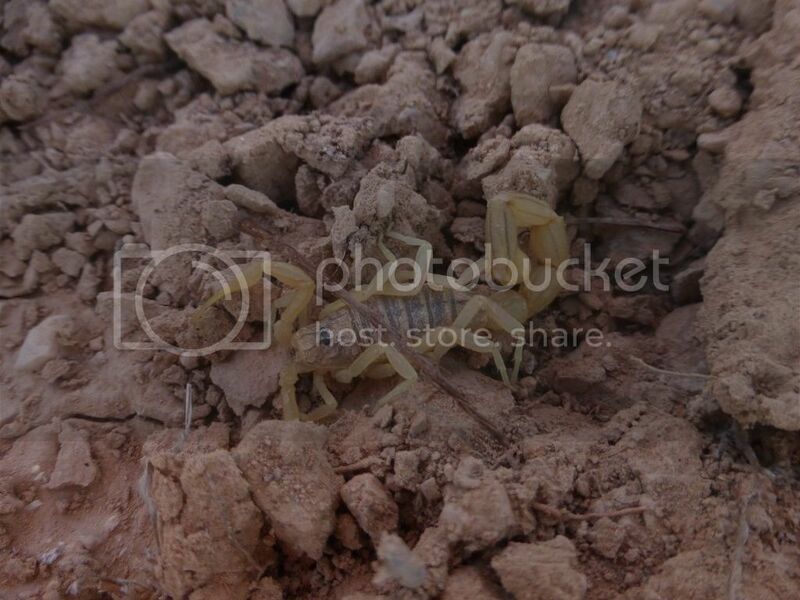 The impression was very much like that of the previous snake and in all probability it was another hoogstraali. Nonetheless I keep beating myself up that it could have been a Pseudocerastes. On the next pass, a similar sight once again, another hoogstraali, slightly larger this time. The pass back didn't provide any more snakes, and since it was late and we were tired we decided to call it a night. Headed back towwards town I slowed down for a closer looke at a jackal by the side of the road, then noticed something on the pavement in front of me. It wasn't a live snake and at first I just passed it by, but... I turned around for a closer look. 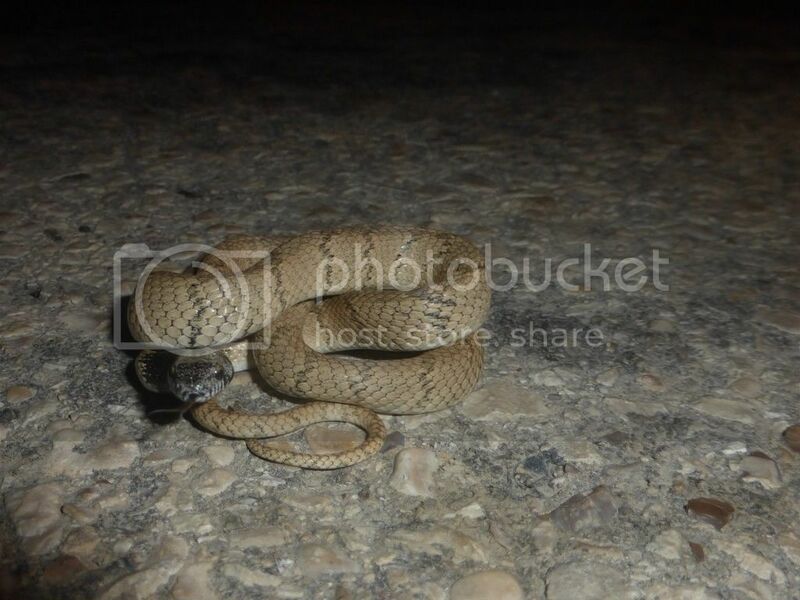 Much to our surprise it proved to be a fresh DOR Palestinian viper, Daboia palaestinae certainly not a species we were expecting at this location. Even so, we didn't take care to photograph it and just continued into town for a much needed night's sleep. Back at my room I got curious and checked the distribution maps in Guy & Aviad's book. 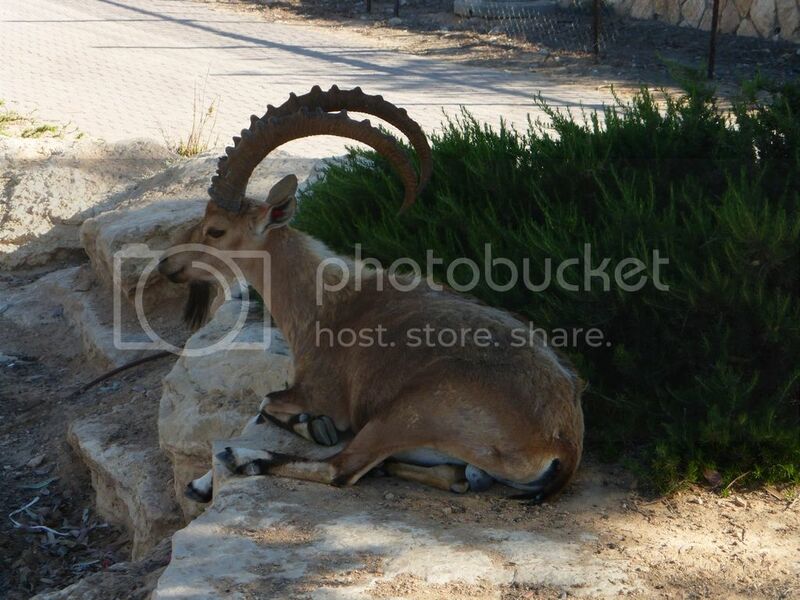 They didnt have Daboia south of Beer Sheva and this was just outside of Mitzpe Ramon! I had a feeling this might be an unexpectedly significant find and went back out for a photo. Alas, the snake wasn't there anymore. I guess it had been scavenged. I wrote Guy and Aviad to tell them about the find and received very different replies form them next morning. Guy insisted it must have caught a ride on a car since it was waaay out of range. 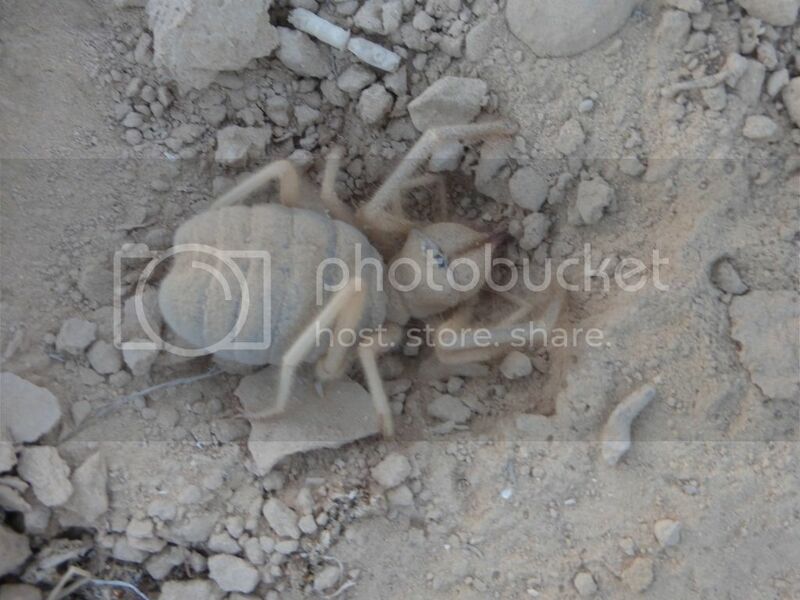 Aviad, otoh, said a couple of specimens had been found near Mitzpe Ramon in the past. After much better breakast this time around, complete with eggs, yogurt, salads, olives, fruit, juice, cheese, bread, cakes, Turkish coffe, etc... we headed out to the wadi to see if there was more morning than afternoon activity. We were a bit late but at least we managed a couple of snake eyed lacertids and Bosk's fringe-fingered lizards, Acanthodactylus boskianus. Next stop was at another group of communication holes where I had my hopes up for, above all, black desert cobras. It was not to be. The holes revealed only the usual assortment of dead rodents and bugs, a couple of Sinai fan-fingered geckoes, a dead Schokari sand racer, Psammophis schokari and a dead camel! Above ground a starred agama was the third and final flipped herp of the trip. The heat was setting in now and as I did not know of any more holes to check herping options for these conditions were few. 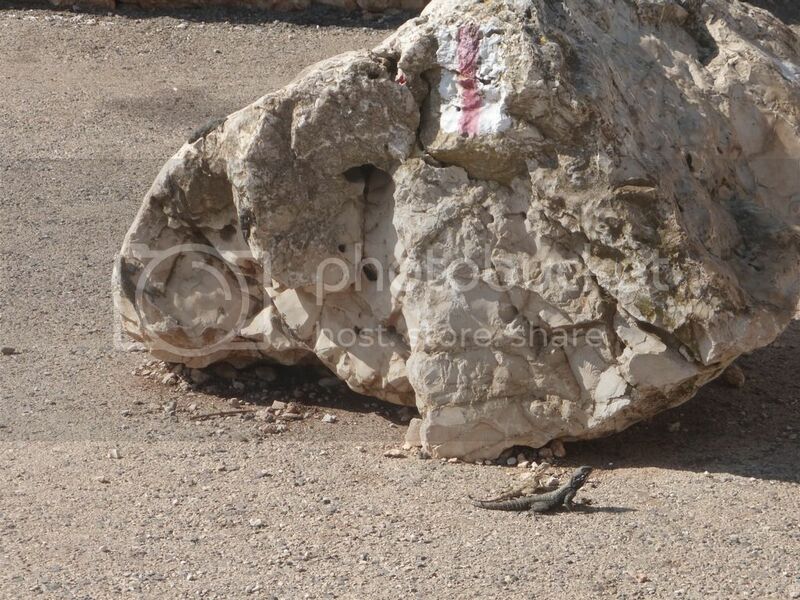 I told Julius and Alexa of a spot in the Makhtesh Ramon where in the past I had found Sinai agama, Pseudotrapelus sinaitus, and they were happy to try since these are one of the few species that could be expected to still be out. 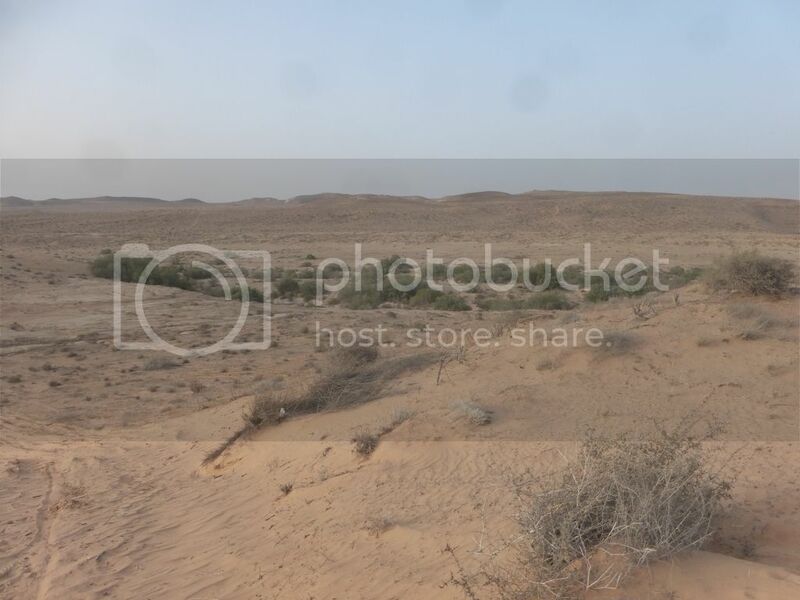 We drove down, I took a quick look, didn't find any agamas and moed on to explore more of the surroundings, a magnificent desert scenery with eroding sandstone in all shades of yellow, orange, red and purple. I didn't see any herps but I did come across a very cute rodent, the fat sand rat. 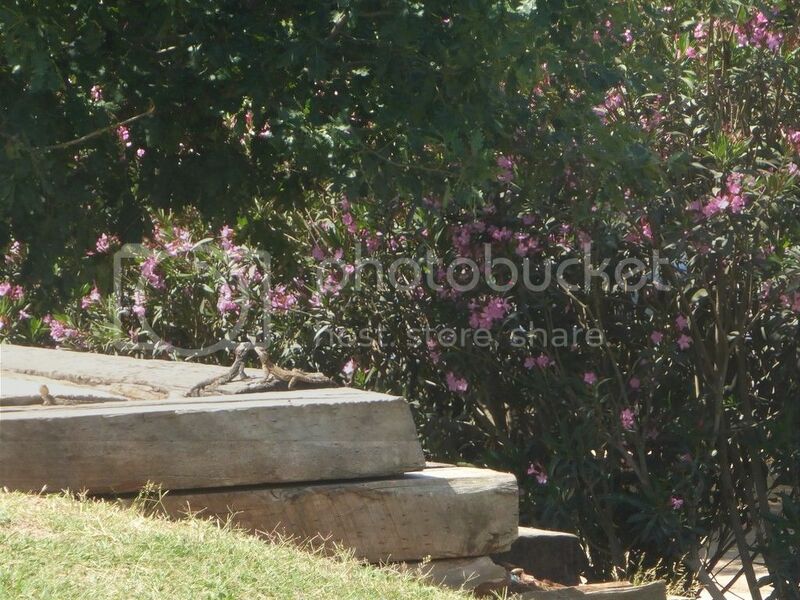 Meanwhile, Alexa and Julius kept searching for agamas and eventually they managed to find one. 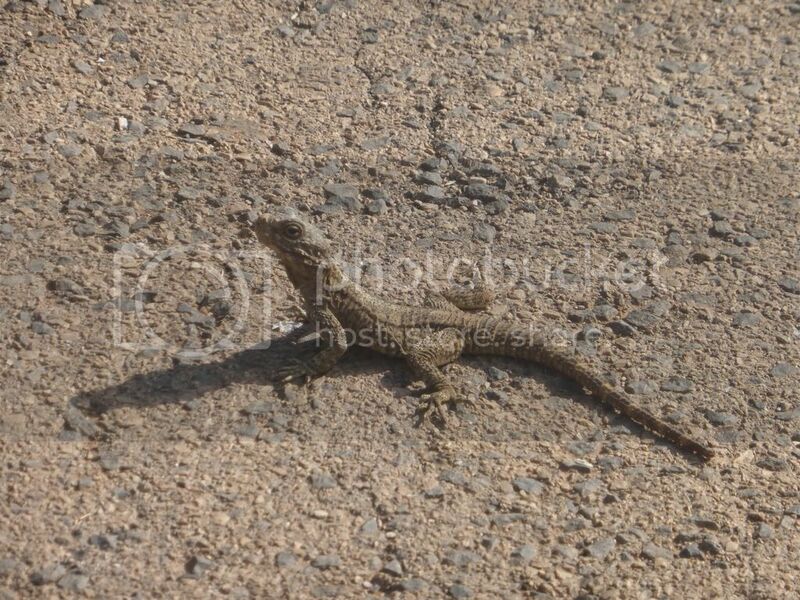 We met back at the cars whwere Julius spotted something moving under my car - a Bosk's fringe-fingered lizard enjoyed the shade. We flushed it out and tried to get some pics but since it of course constantly headed for any small available patches of shade and the surrounding light was very harsh indeed, circumstances were not the best. I had been somewhat undecided on how to spend my last night. 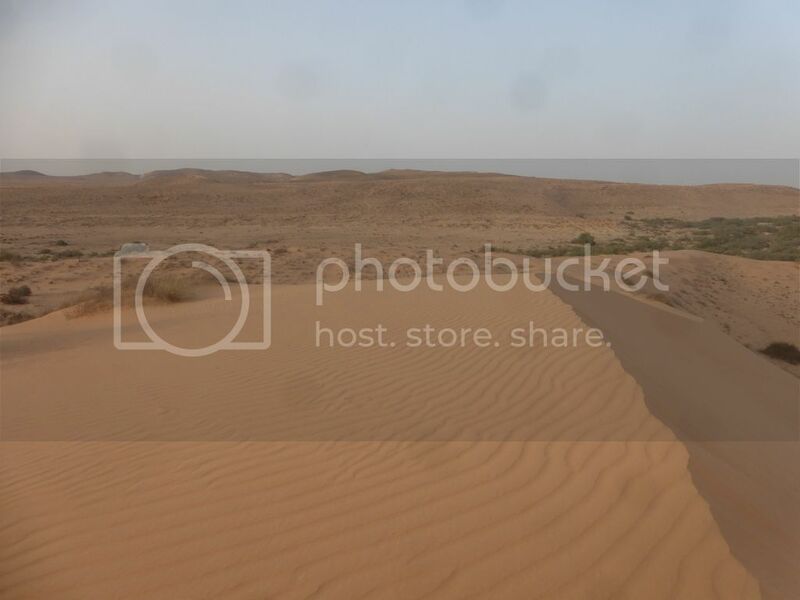 The previous night I had more or less promised I would take Julius and Alexa to the northwestern Negev dunes but I was still aching to relieve the old itch that was Pseudocerastes and Walterinnesia and they should be able to fend for themselves in the dunes. Weighing the pros and cons – a long night of driving by myself with a significant risk of failure and an expected low species and specimen output but the chance of finally finding much wanted species that had evaded me for too long, followed by a long and frighteningly tired drive to the airport in the middle of the night versus a night with company, tracking in the dunes with an expected much higher species and specimen output but very little chance of finding anything new to me, followed by an equally tired but slightly shorter drive to the airport - I learnt what I guess I already knew, that a) I may enjoy herping hard to find new species but for me the twitching part is not that important and b) personal experience and interests of self preservation keep me from driving 6 hours by myself in the dark after 16 hours of sleep in the past 92. Off to the dunes it was then. I knew it would be a long night so we stopped for a good solid meal and stocked up on snacks and water. On the way we passed another hole that I knew from a previous visit. We had a bit of trouble finding it and when we did... it was blocked by a boulder. 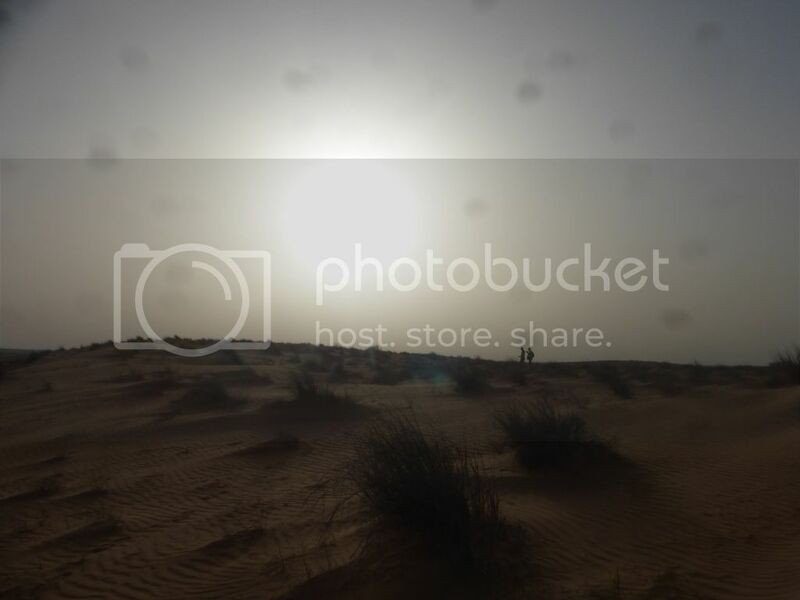 We arrived at the dunes almost an hour earlier than I had originally planned. 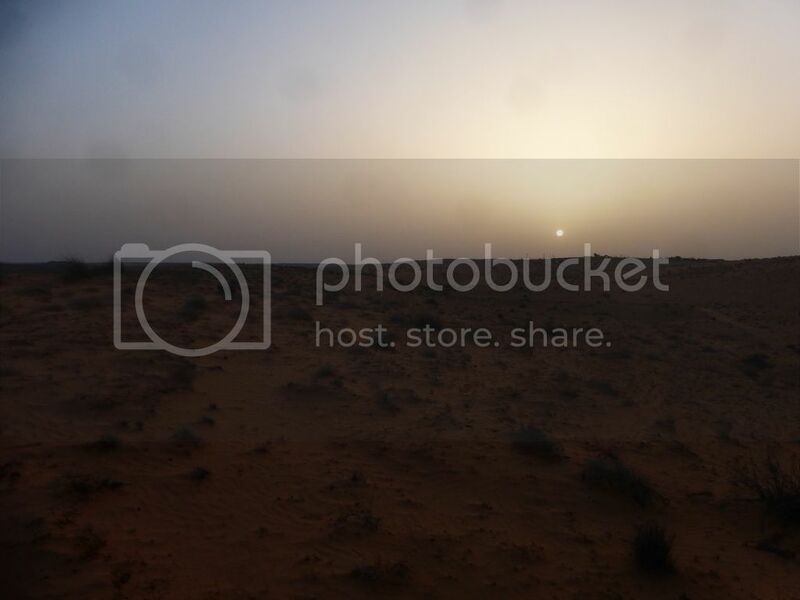 The sun was still scorching and activity was predictably low. 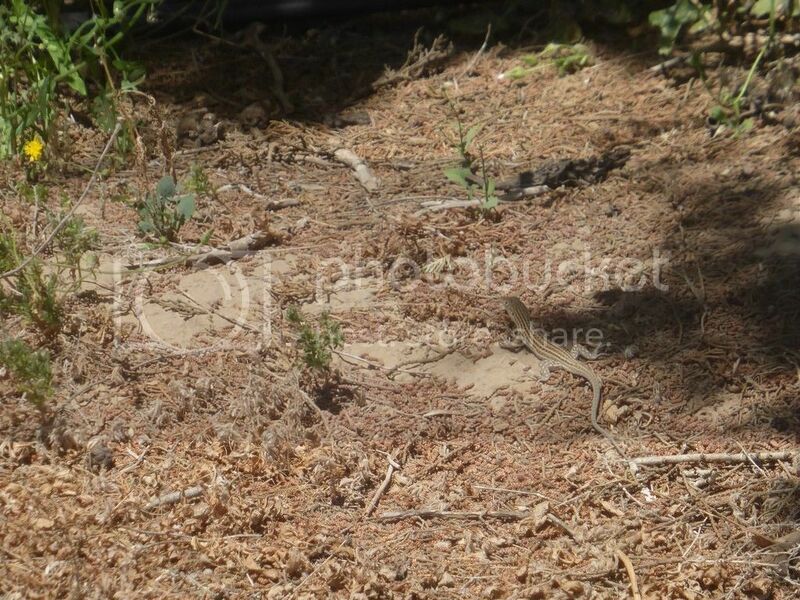 There were lots of old tracks scattered across the dunes and a few Egyptian fringe-fingered lizards, Acanthodactylus aegyptius, were out but we soon decided it was too hot and relaxed in the shade of the cars for a while. When we went out searching again a little later more Egyptian fringe-fingered lizards were active, now alongside Nidua fringe-fingered lizards, Acanthodactylus scutellatus. 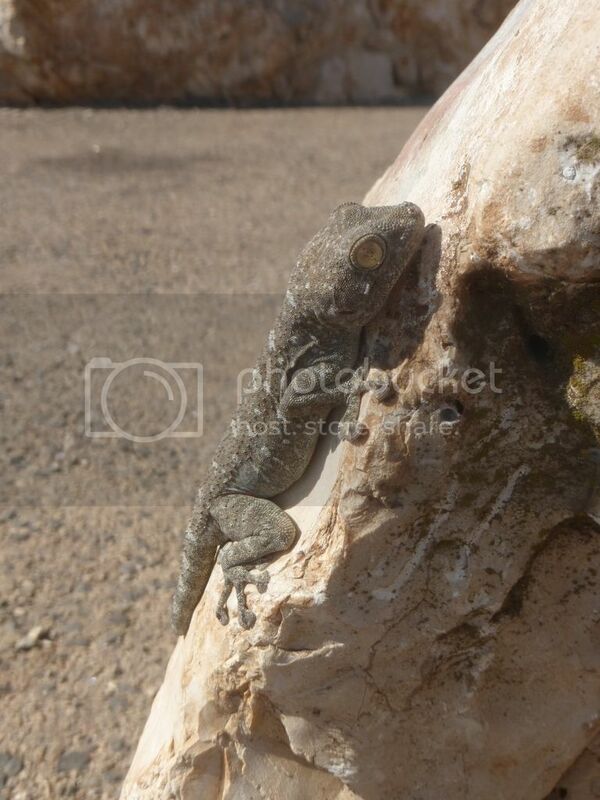 Alexa soon discovered a slightly more robust lizard hiding in one of the bushes, a Savigny's agama, Trapelus savignii. This little beauty was one of the species I had hoped we would find didn't feel entirely confident about. In four previous trips to the dunes I had seen a total specimens, one of them only in a quick flash as it disappeared down a hole. Shortly thereafter we found one more, then another... We ended up with four specimens - a very good start. 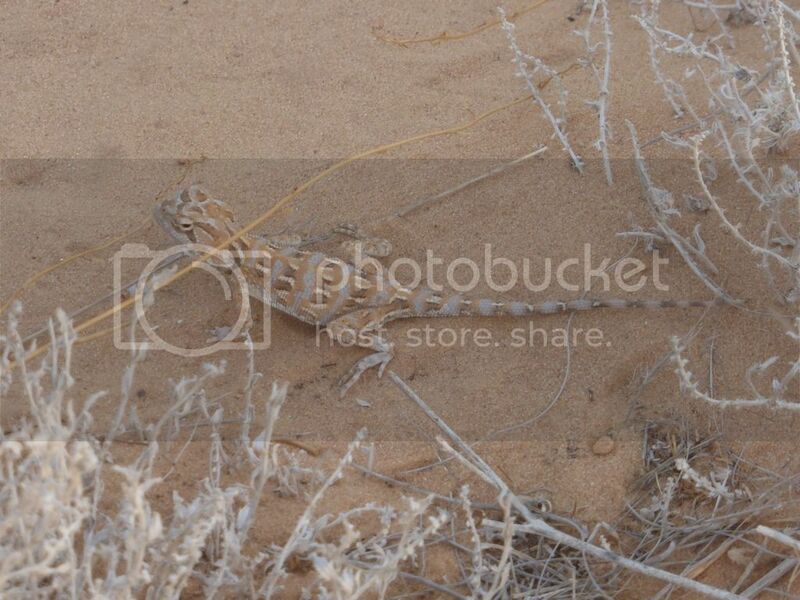 Julius and Alexa herping, half of the Sahara on my sensor. Back at the cars at dusk for a quick bite we came across fresh desert monitor tracks - clearly made while we had been out finding agamas and fringe-fingered lizards. It has always puzzled me how elusive these critters are. 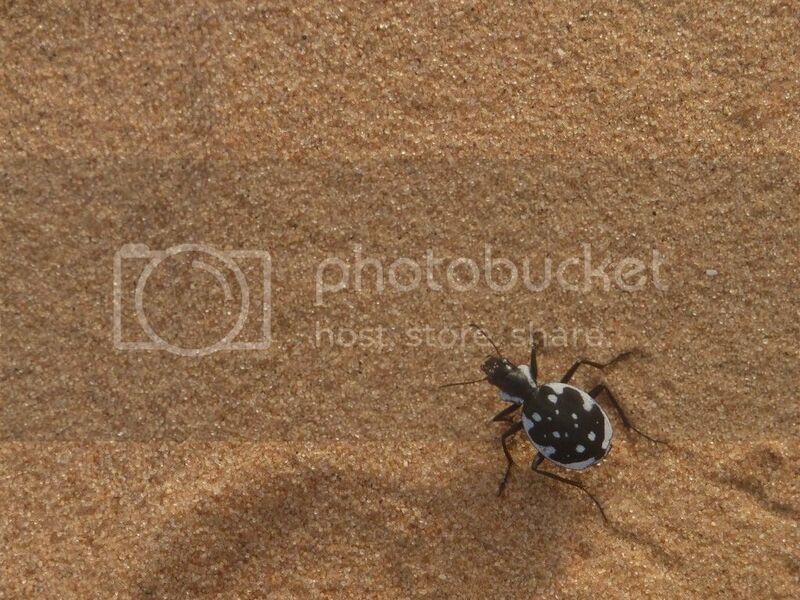 I had the good fortune of seeing one two years ago but according to Aviad they are quite an uncommon sight in the dunes, yet their tracks are all over and they are large, diurnal, actively moving about in an open landscape. You would think you could spot them more often. As it grew dark we headed out again. 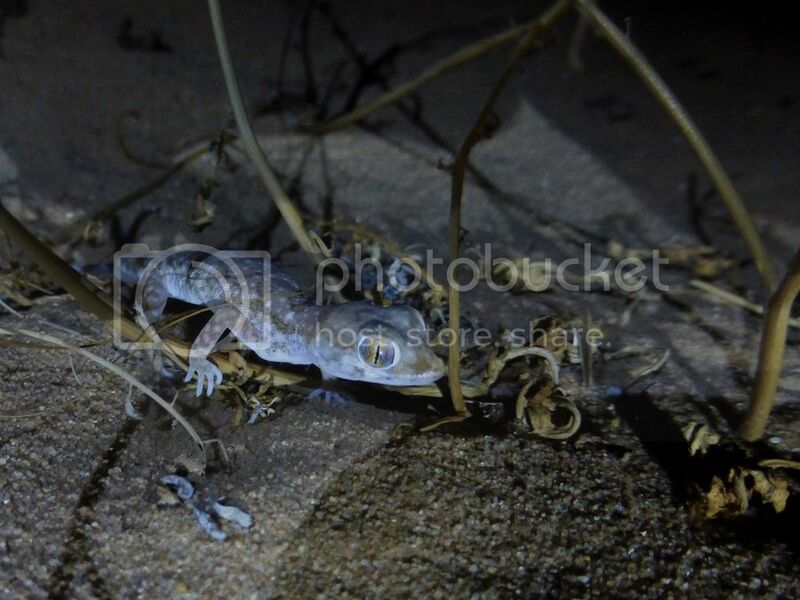 After just a few meters I spotted the first nocturnal herp - an Egyptian sand gecko, Stenodactylus petrii. 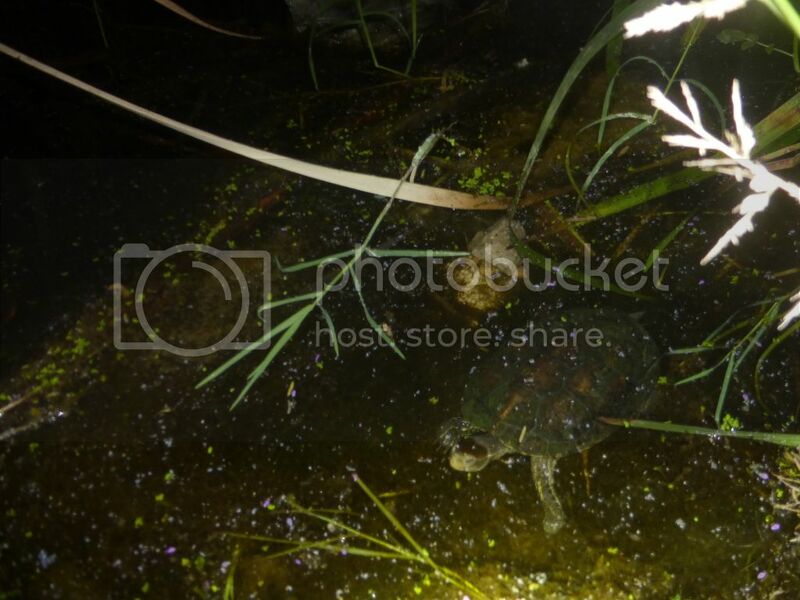 These cute little buggers would be a common sight throughout the night. 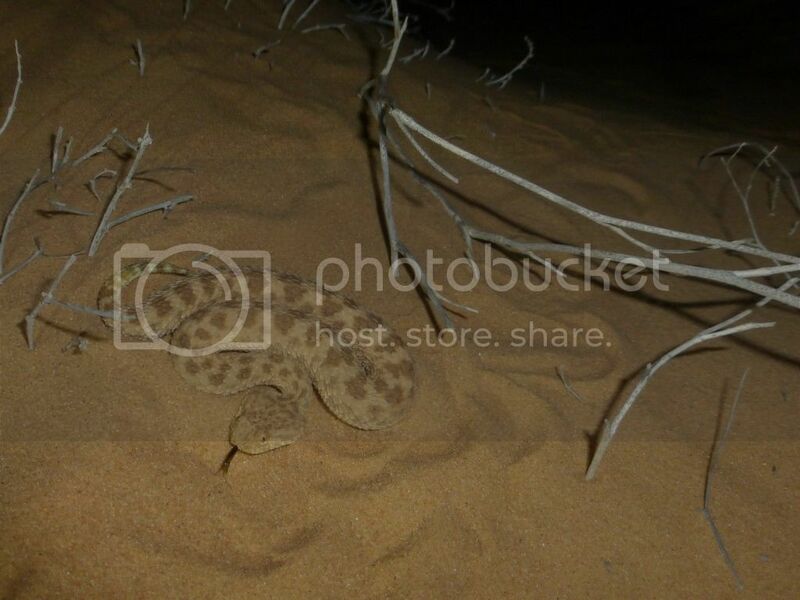 Five minutes later I spotted the first Saharan horned viper, Cerastes cerastes, tracks. As it was still early in the evening we knew it couldn't have gone far but unfortunately we lost the track in the compressed sand at the bottom . While I was still searching for the next imprint Julius exclaimed, "Here it is." 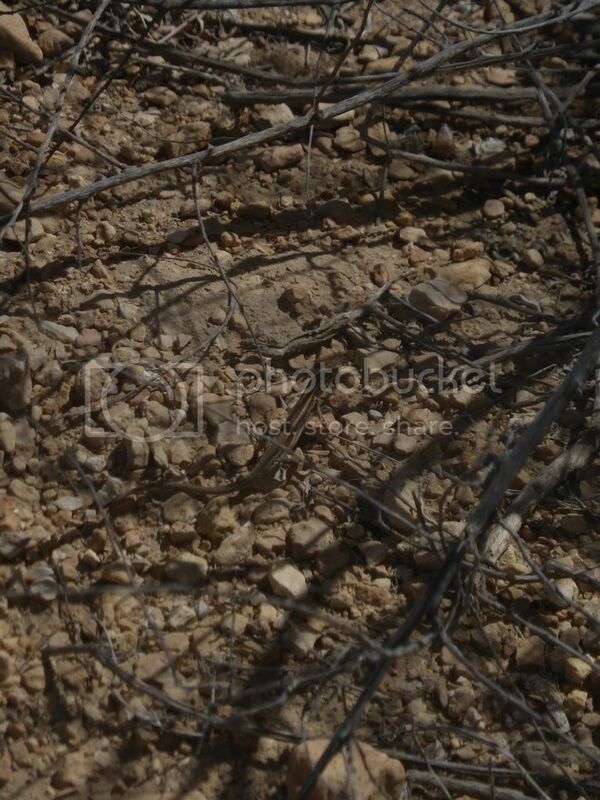 While Julius was photographing the snake his camera battery ran dry. Alexa headed back to their car for another one but couldn't find her way in the dark. I walked up to her and directed her. 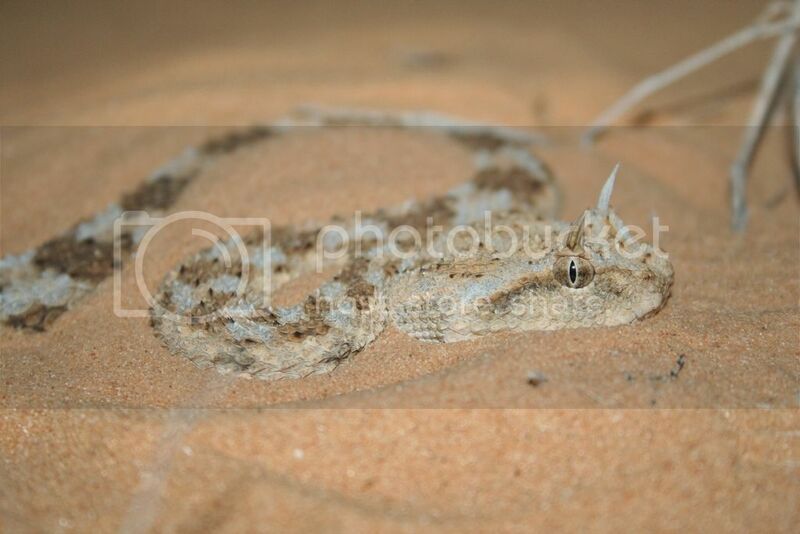 Following her a bit on the way I suddenly spotted a Sahara sand viper, Cerastes vipera in front of me. I called it out to Julius who was happy but perhaps also a little stressed about the camera situation. 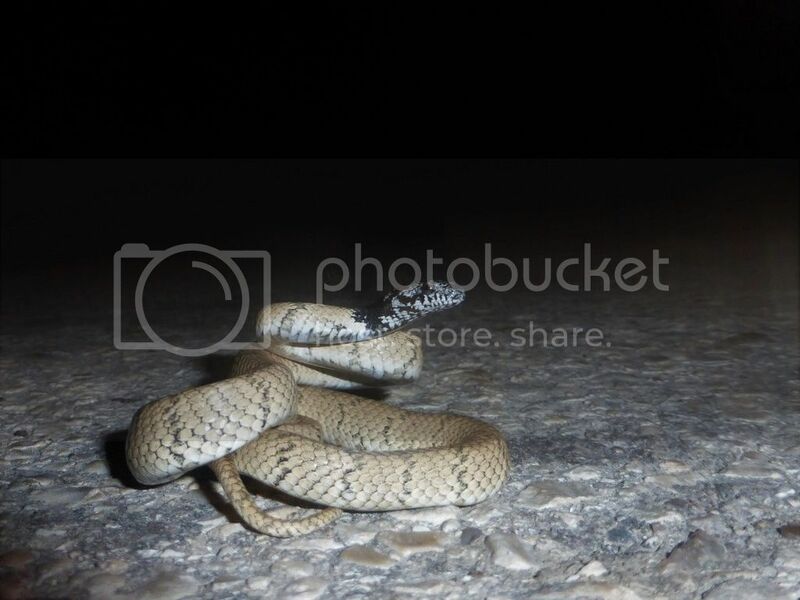 When Alexa came back with the new battery I walked onwards, saying I needed to find them a diadem snake, Lytorhynchus diadema. They were still photographing when I found it stretched out in front of me and called it back to them. Right about then my camera died. 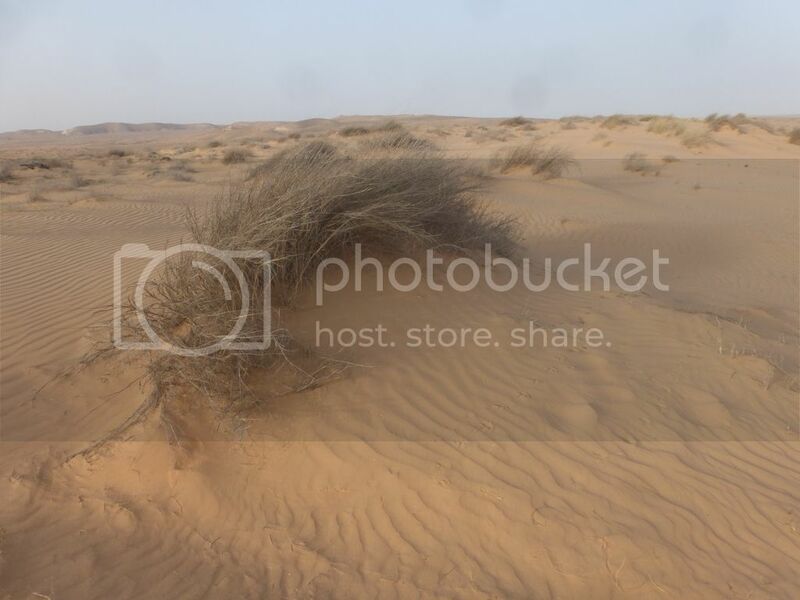 It had been acting strange for a while and eventually the sand put it out of its misery. All photos I have from the rest of the night are superbly bad old discount phone shots. Julius and Alexa have been kind enough to allow me to use their pictures for the remainder of this report. 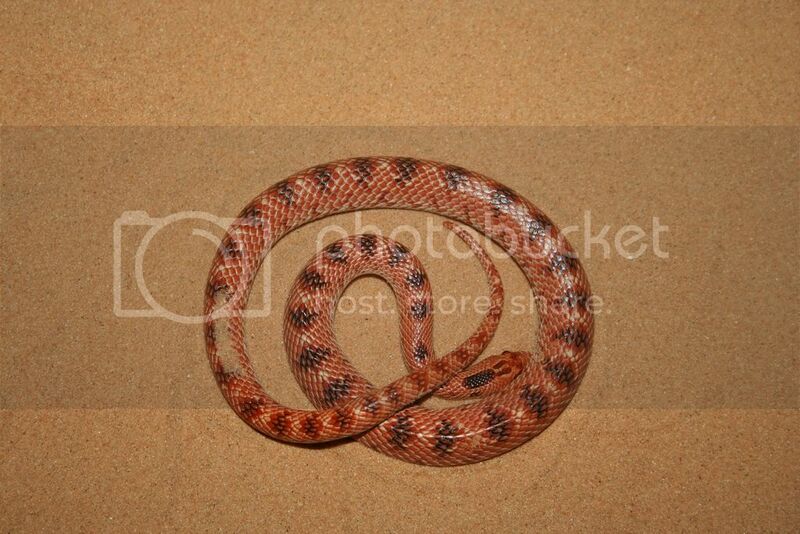 Next up I told them we needed a red diadem snake. We soon found a track headed down the side of the dune. It disappeared at the bottom like the cerastes earlier and like earlier, Julius called it out while I was trying to find a continuation of the track. 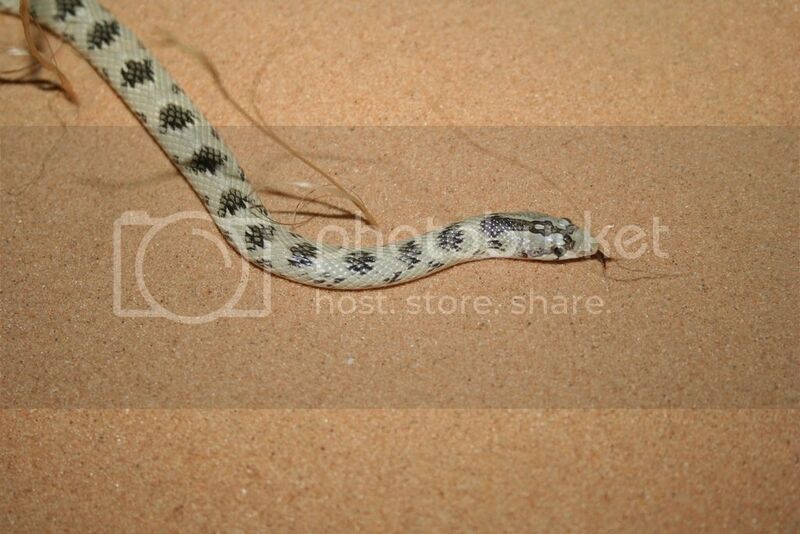 I was wrong about the species though, it was a small diadem snake, Spalerosophis diadema, my bad. Half an hour into the night session and we had already found the geckoes and all of the snake species we could reasonably hope for, what should we ask for next? 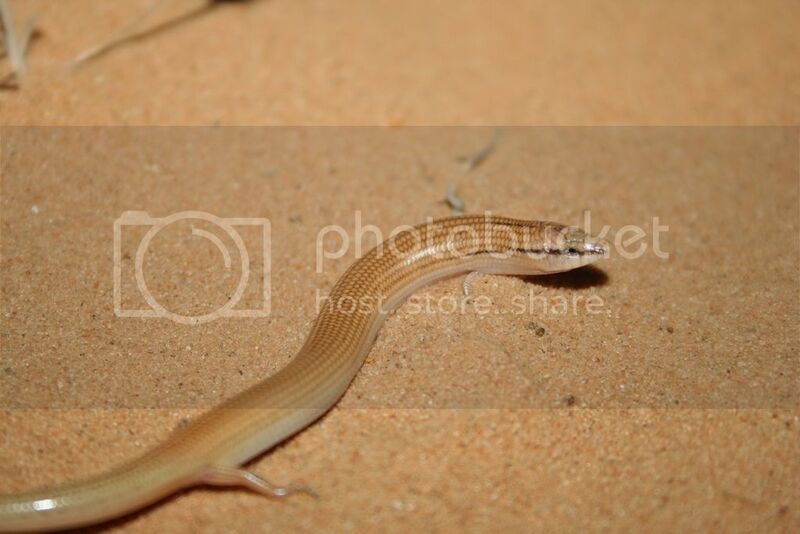 A wedge-snouted skink, Chalcides sepsoides, thought Julius, so he found one. After that the diadem snakes just kept rolling in, with a viper or two thrown in here and there for good measure. 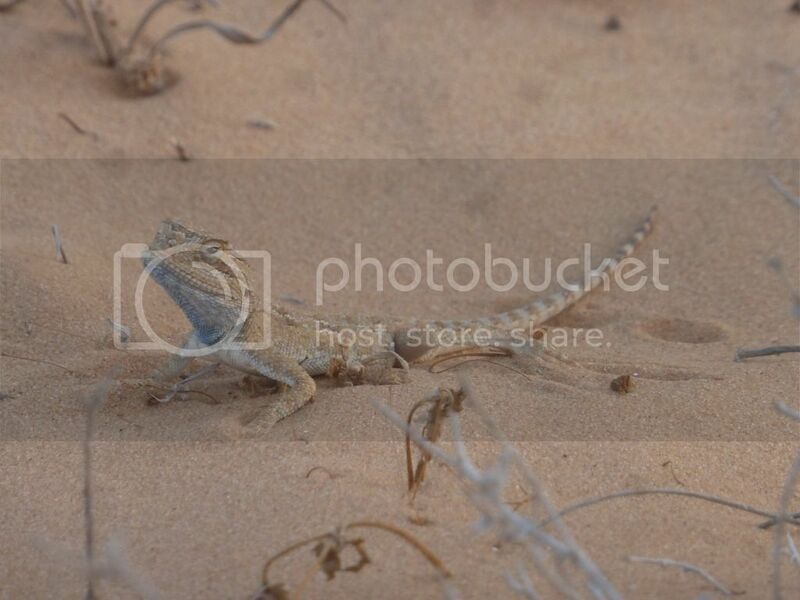 Some were tracked, a couple found half way down Acanthodactylus[/] others just popped up on top of the sand. Most of the diadem snakes were the usual, sandy brown colour, a couple the much more attrative red variant - so yes, though it took a bit longer, we got them as well - and one large specimen found by Alexa was exceptionally pale, almost axanthic looking. 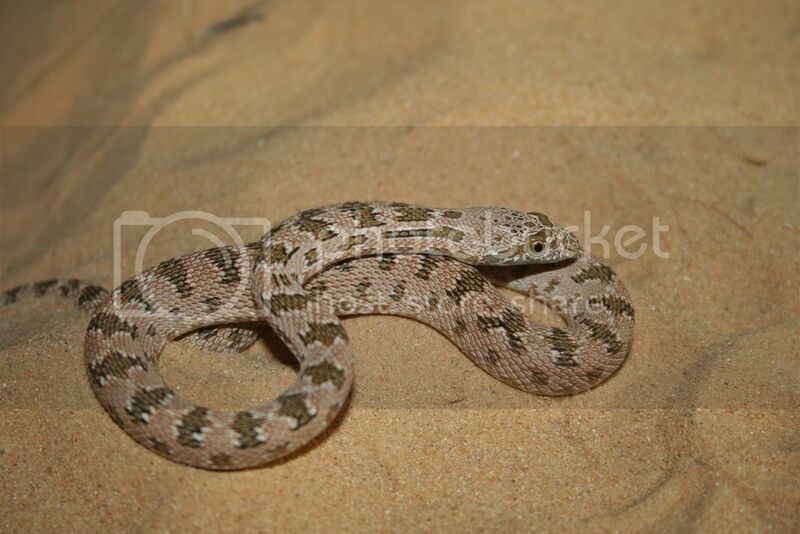 One track I had called out as C. vipera proved to actually be the first juvenile C. cerastes I have ever seen. As it got later, tracks got longer and harder to follow, and we all grew increasingly tired and content / lazy finds became fewer and further between. 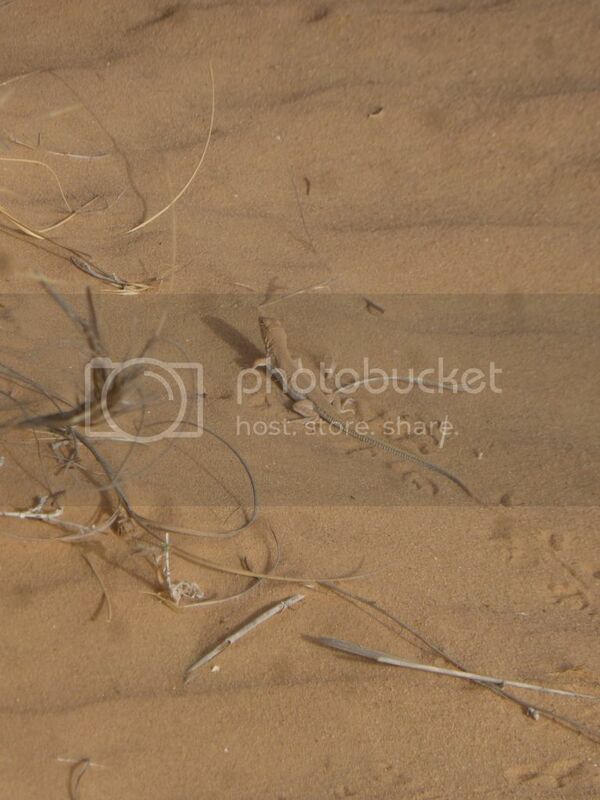 Lots of tracks were lost either as the snakes disappeared down holes or moved onto the compressed sands. 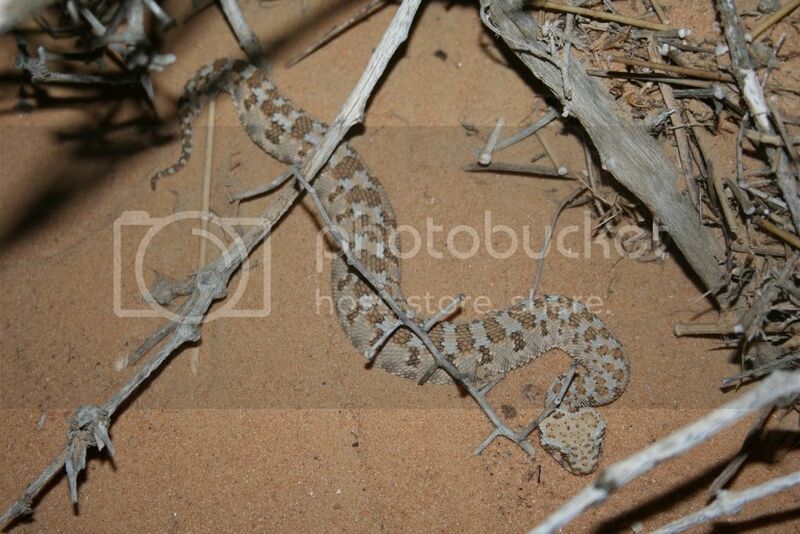 A couple of them I would dearly have loved to find, the largest Lytorhynchus track I have ever seen that I followed for a long time through the loose sand up and down the steepest and tallest point of the dunes before losing it at the bottom, and the the smallest C. vipera track I have ever seen that I also lost at the bottom. Eventually we were just too tired and Alexa and Julius decided to call it a night. 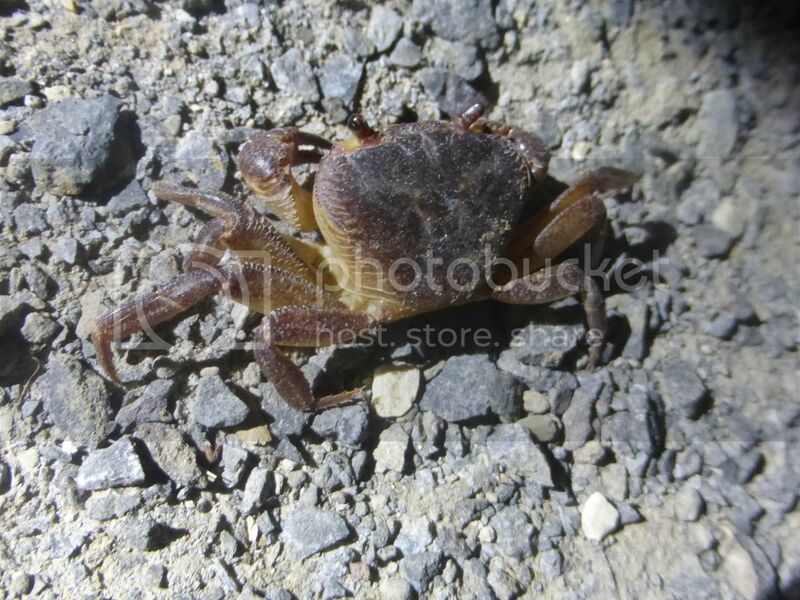 I followed them back towards the cars and just before we got there we spotted one more C. cerastes. We almost couldn't be bothered anymore but decided to follow it after all and soon found the final snake of the evening - a fitting end. When they left I still had some time before I had to head for the airport. I had the choice between herping a little longer and spending more time at the airport. I decided to give it one last try, but ended up quitting after just 20 minutes, having found only one more gecko and lost a couple of tracks. Thankfully I managed to stay awake and made it safely to the airport. The trip home seemed endless, though, security checks (including pat down and complete drug check of hand luggage), layover in Istanbul and - most annoyingly - circling above Copenhagen before landing. I got home mid afternoon, crashed on my bed for an hour or two before doing an evening zombie routine getting ready for work the next morning. In summary I had another great Israel trip. 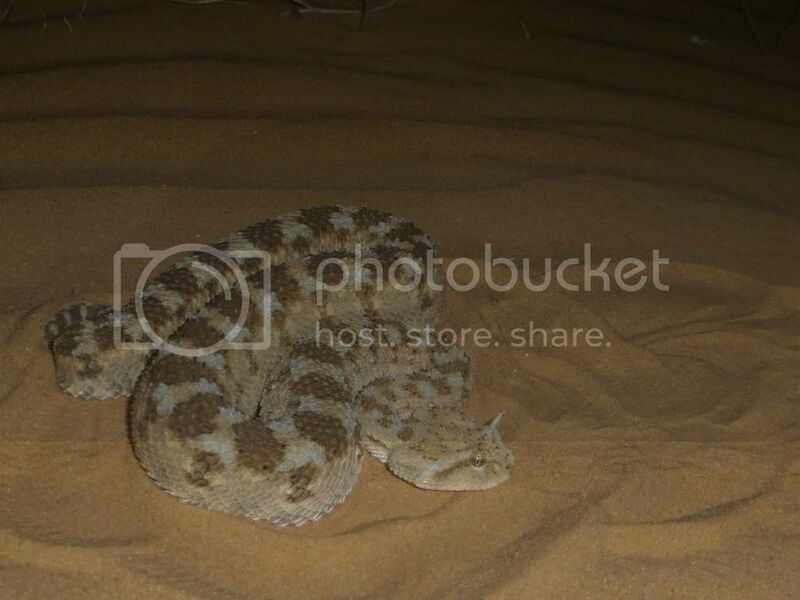 Seeing Latonia in the wild was enough to make it worthwhile, desert tiger snakes and another great night in the dunes just icing on the cake. The rest was perhaps a bit disappointing. Flipping providing essentially nothing, checking a fair amount of holes very little more and I saw no snakes (except one unidentified) active by day. You can't really expect success across the board though, so I guess that's okay. I could certainly have added at least 3 or 4 more common species to the trip list with just a tiny bit more effort but I guess I just felt little more tired, lazy and content, a little less hungry, than on some of my previous trips and that shows in the numbers. Likewise, missing Pseudocerastes and Walterinnesia again was certainly both disappointing and frustrating but given what I did find I shouldn't complain, particularly since I chose not to spend more of my time pursuing these species. Wow, well done in such a short time. Thanks for sharing. That little C. cerastes is stunning! I would guess your difficulites finding C. cerastes are down to the time of year, yes. 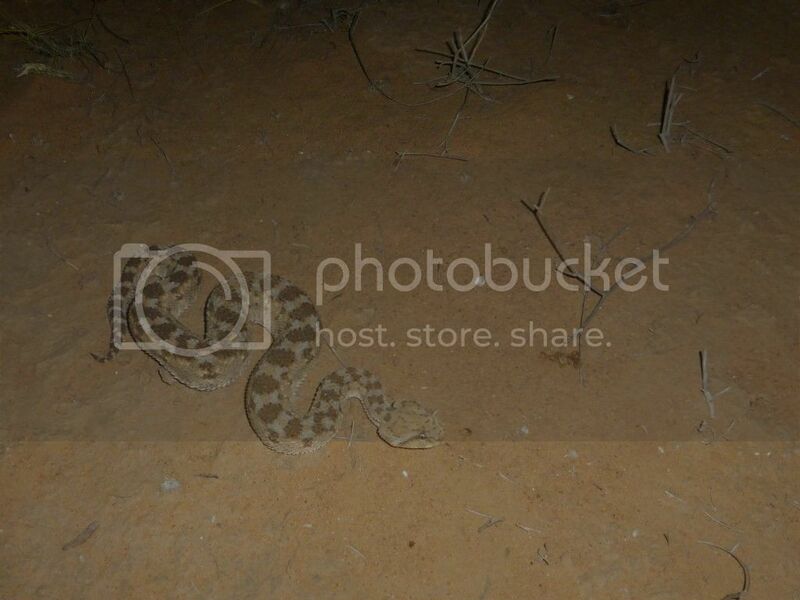 I have seen more of them in Israel than any other snake species - 18 on 4 nights in May, 1 on an October night. I have never struck out searching for them. 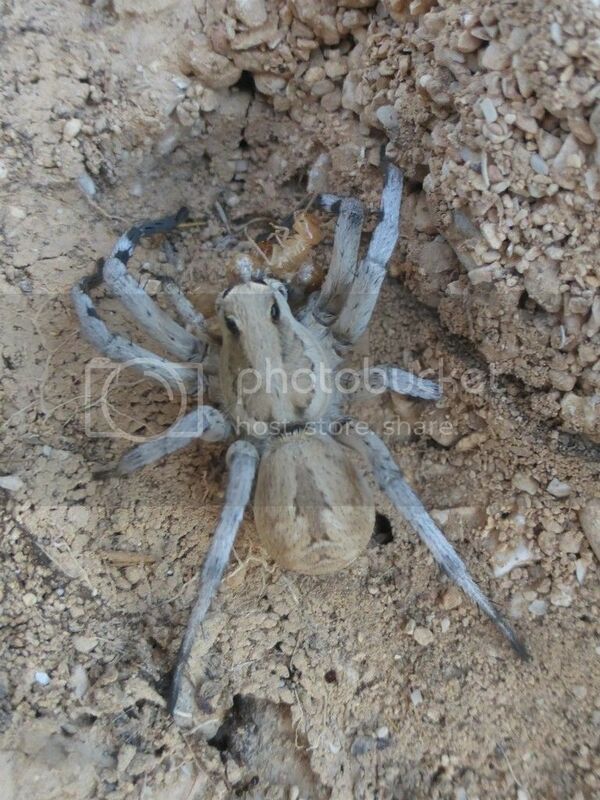 That is why I am not targeting that species nor expect to find it when I return next year in early spring.